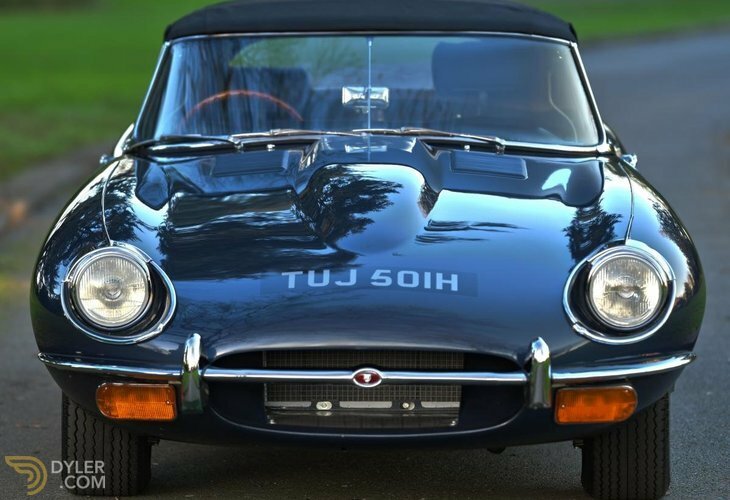 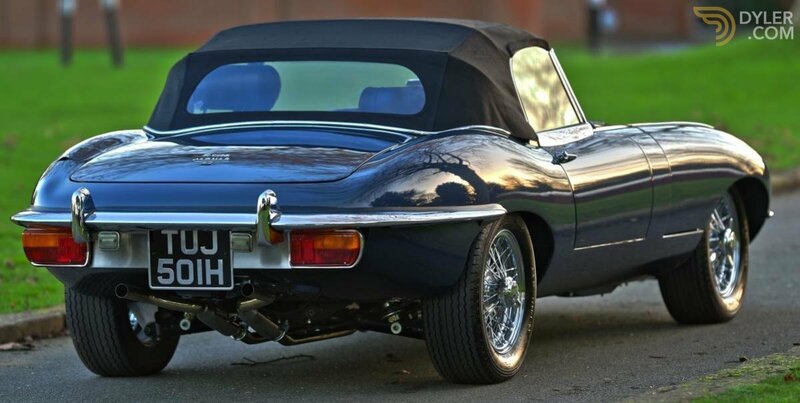 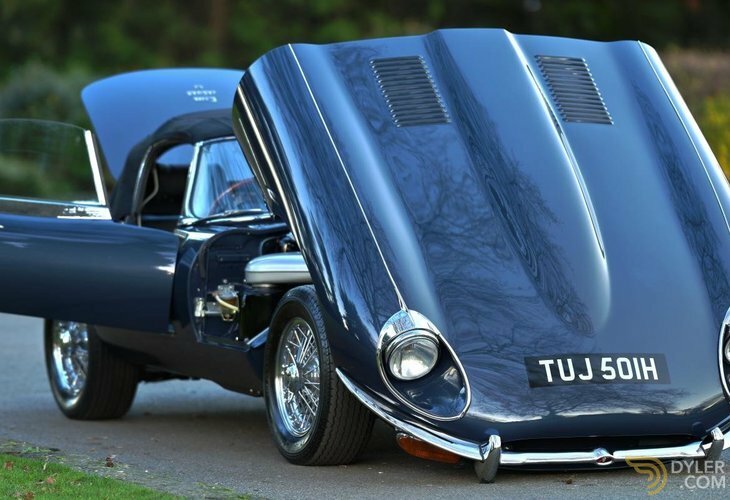 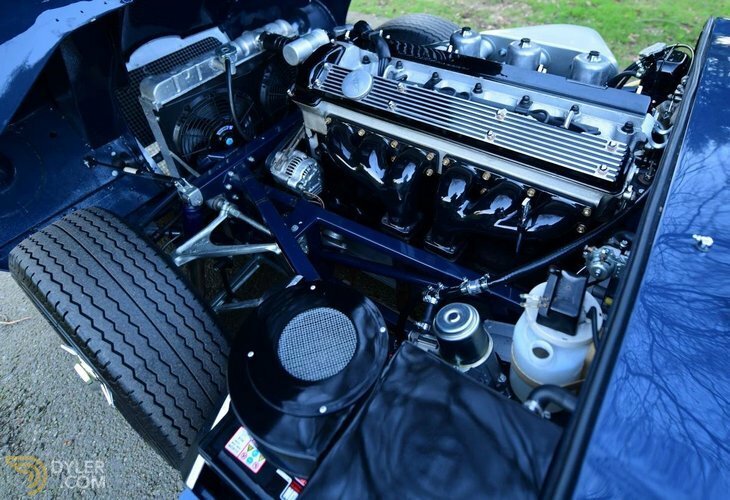 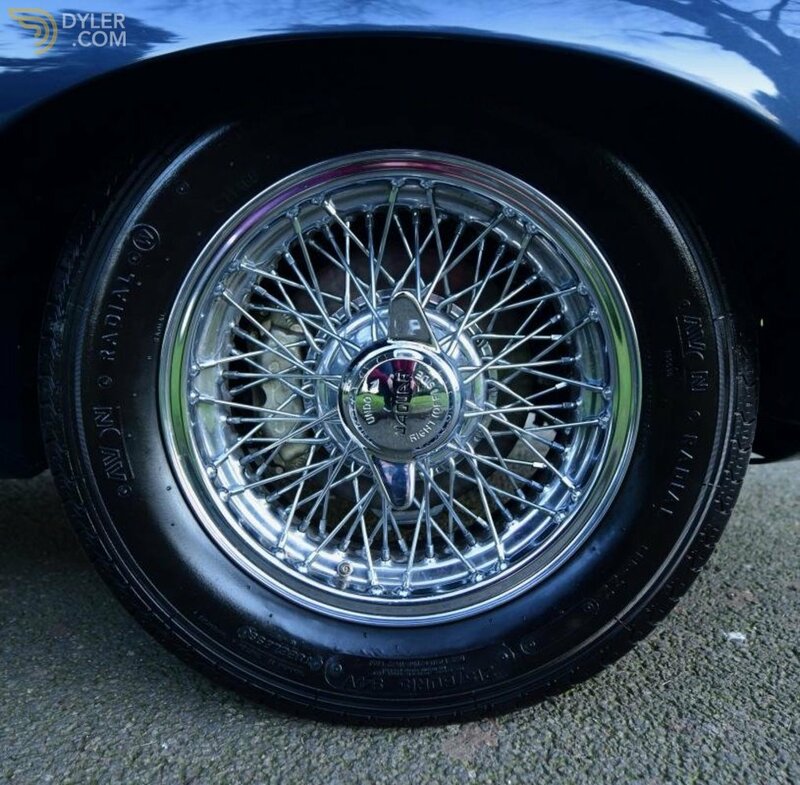 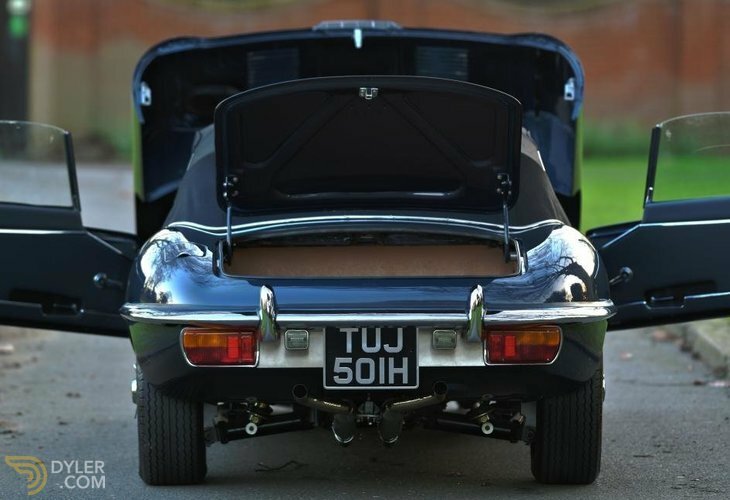 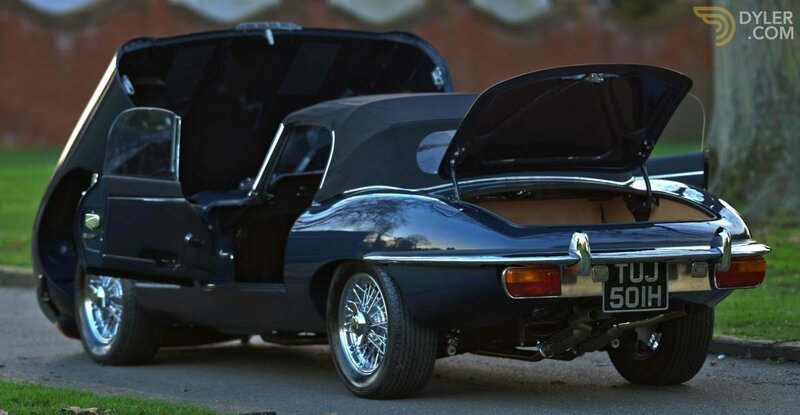 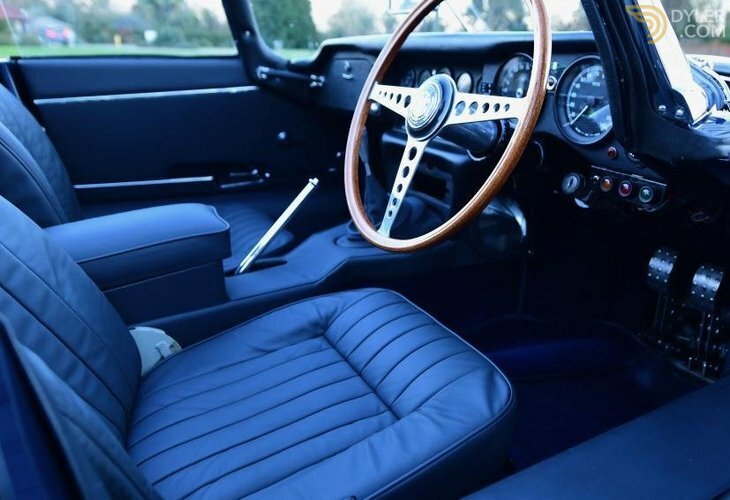 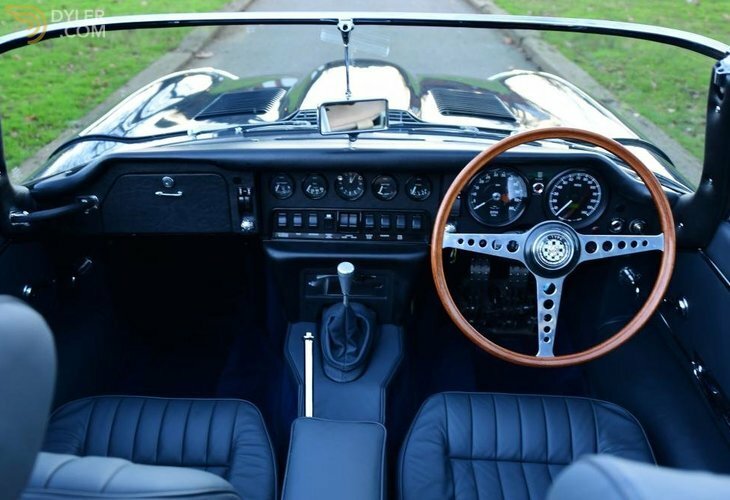 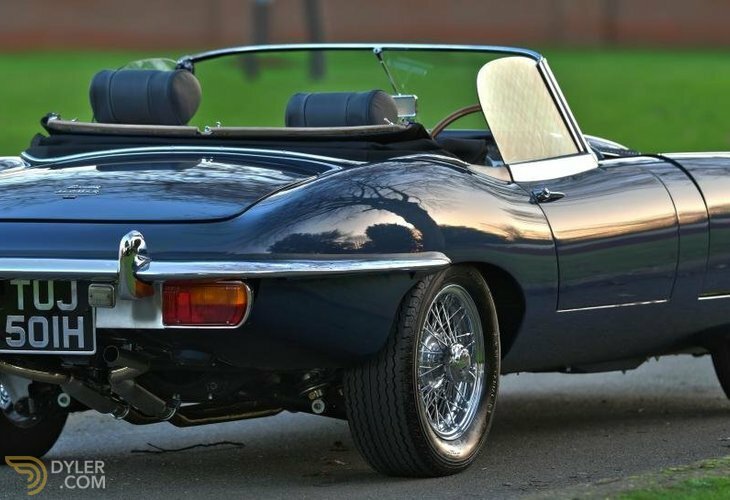 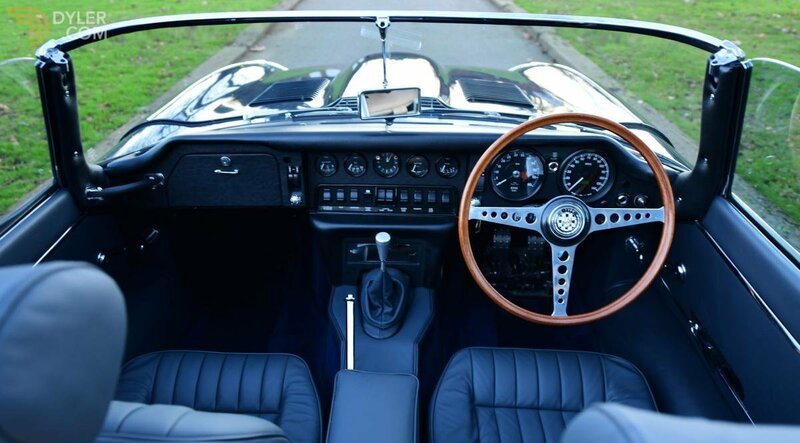 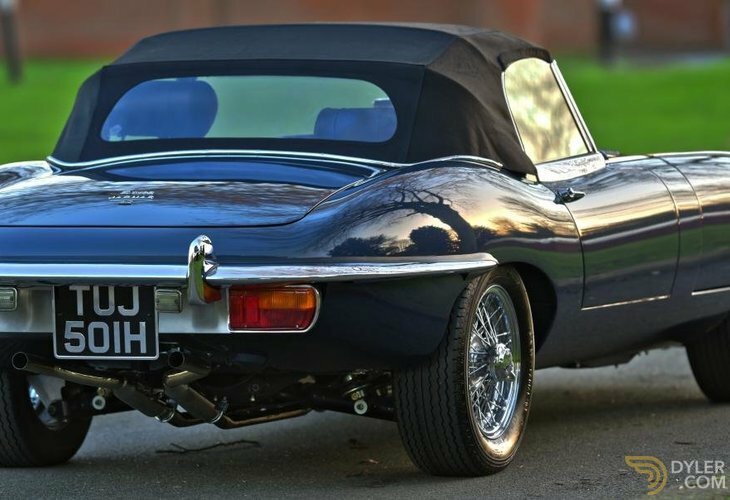 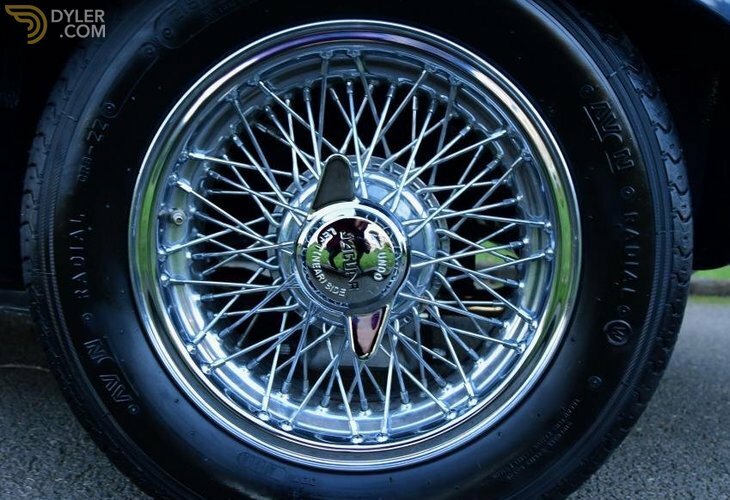 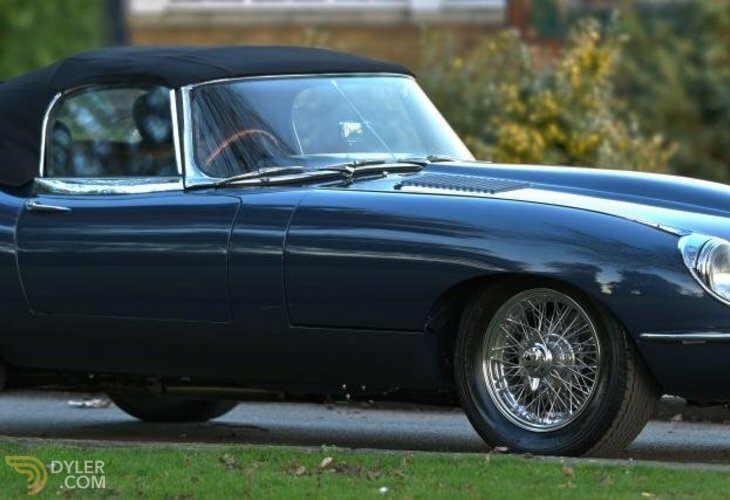 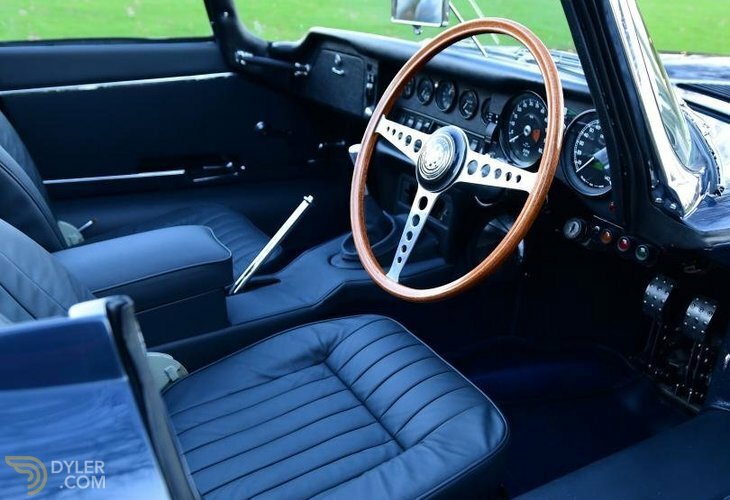 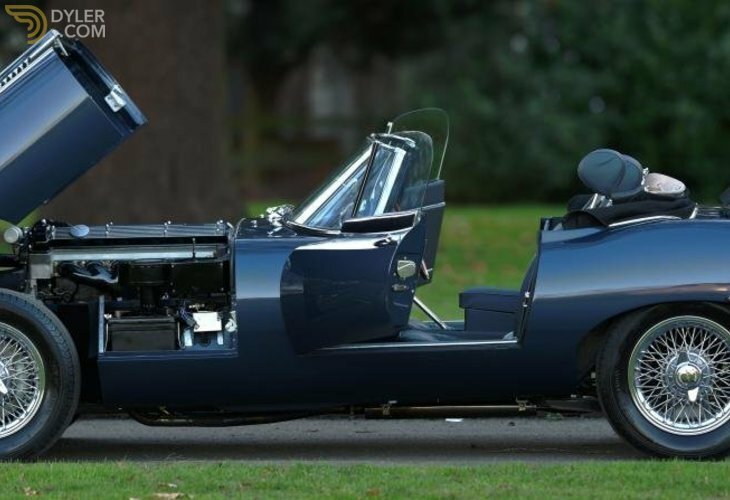 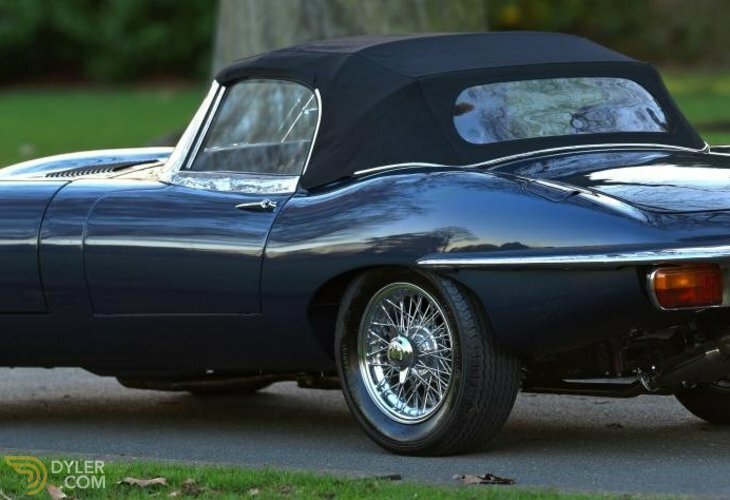 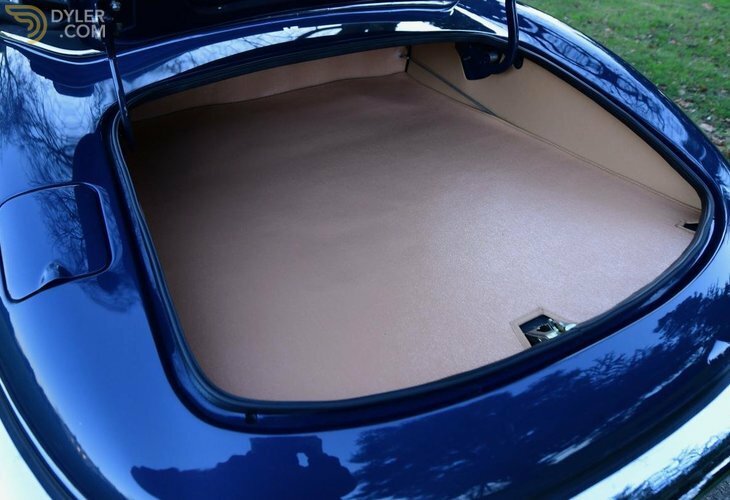 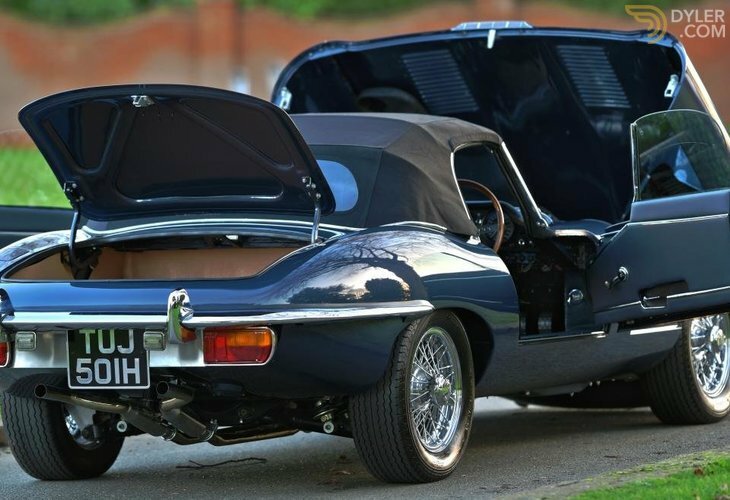 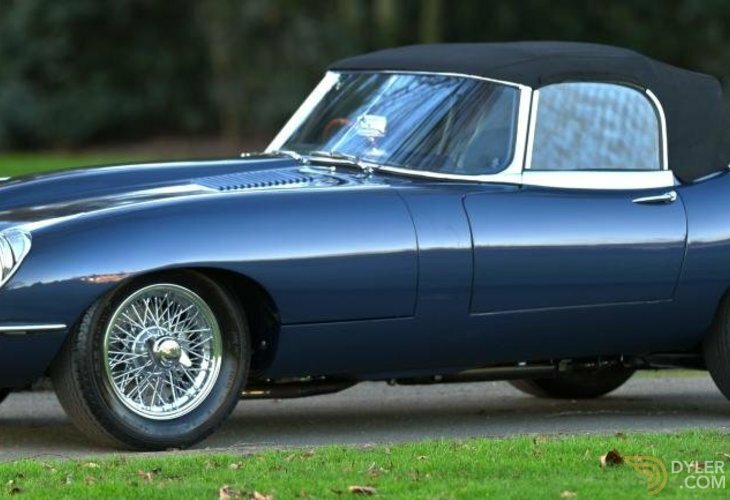 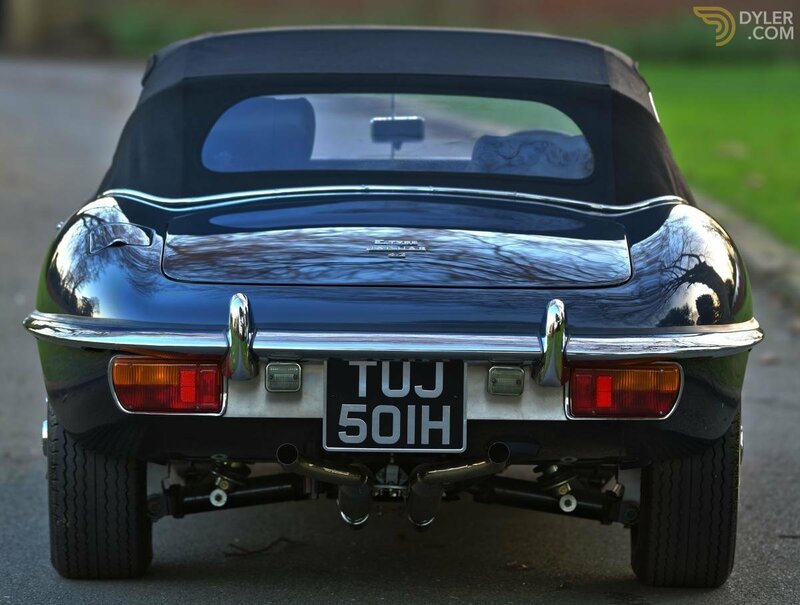 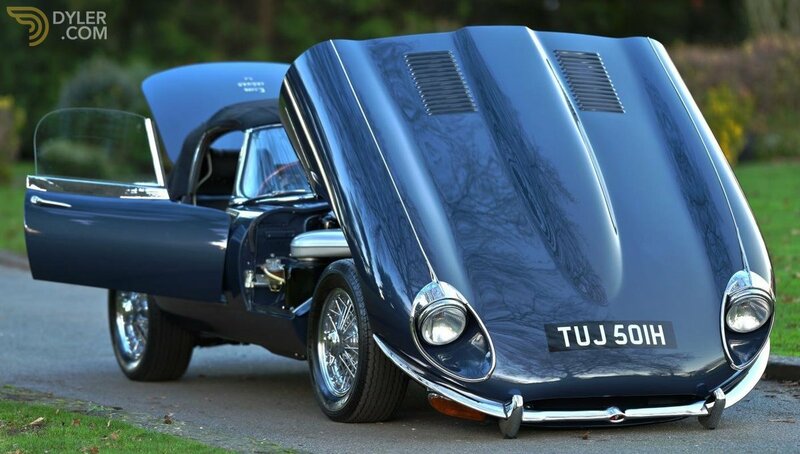 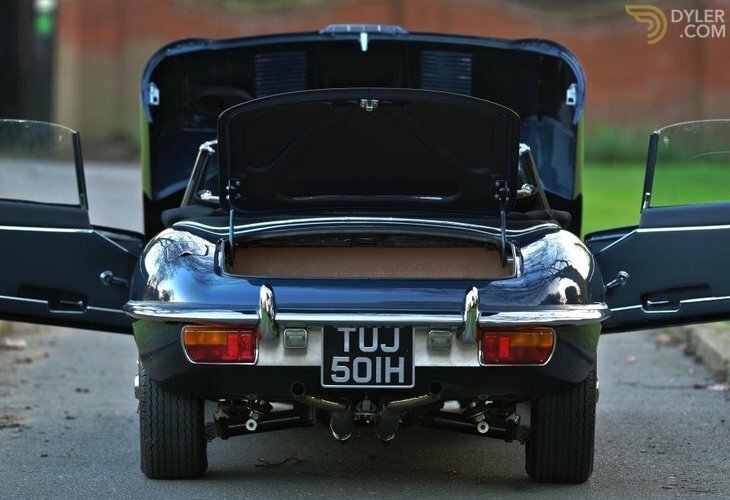 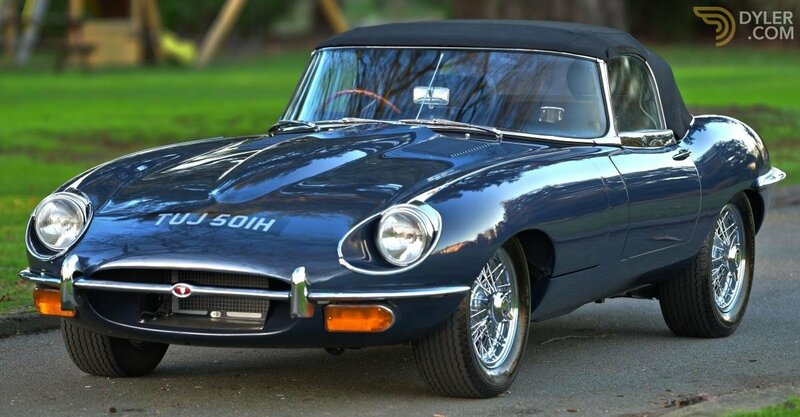 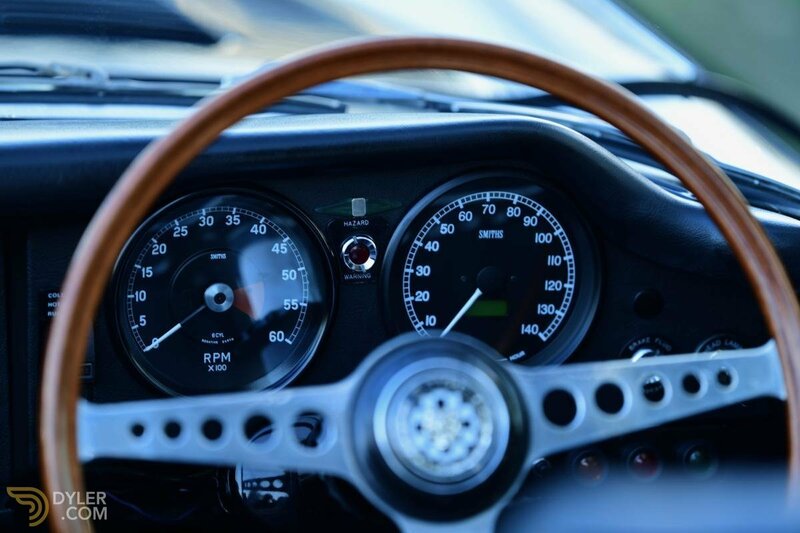 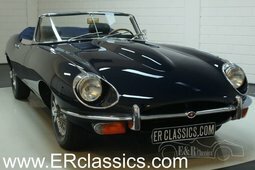 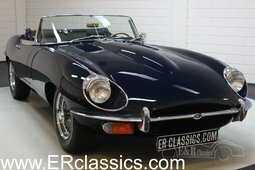 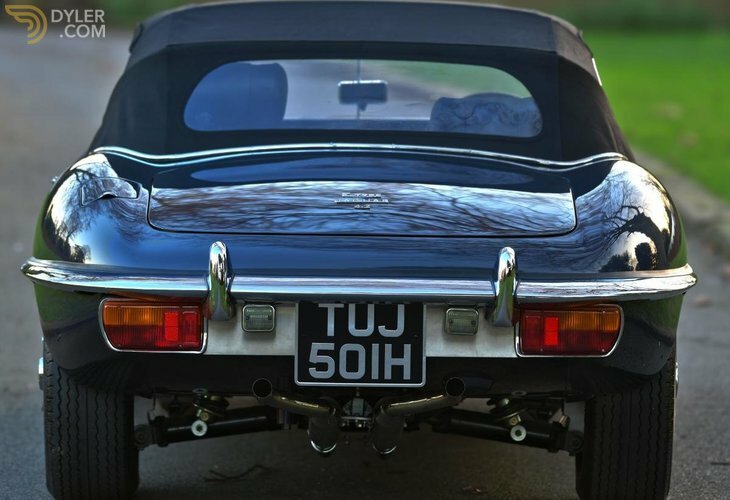 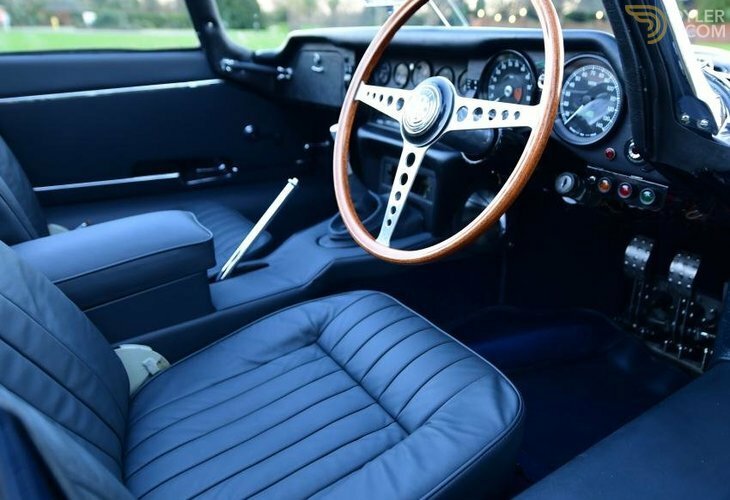 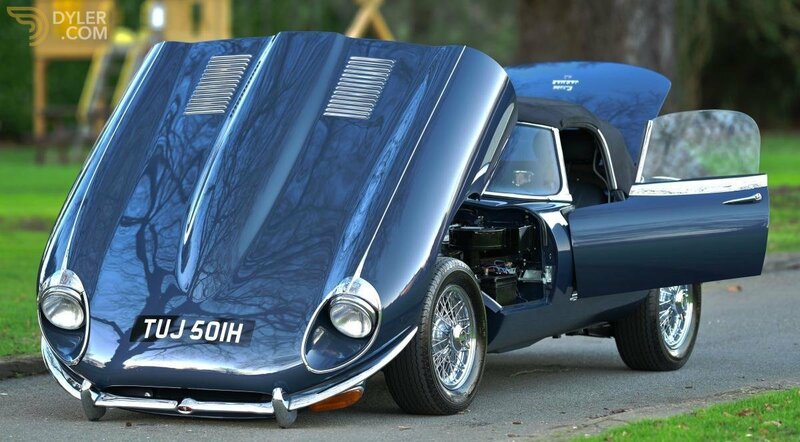 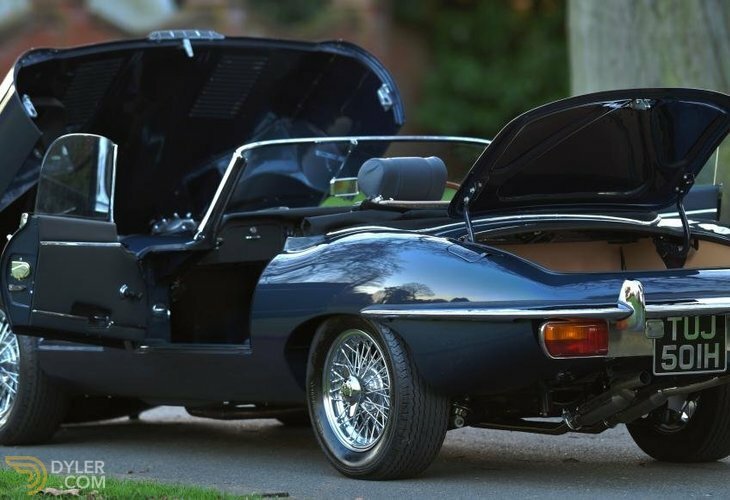 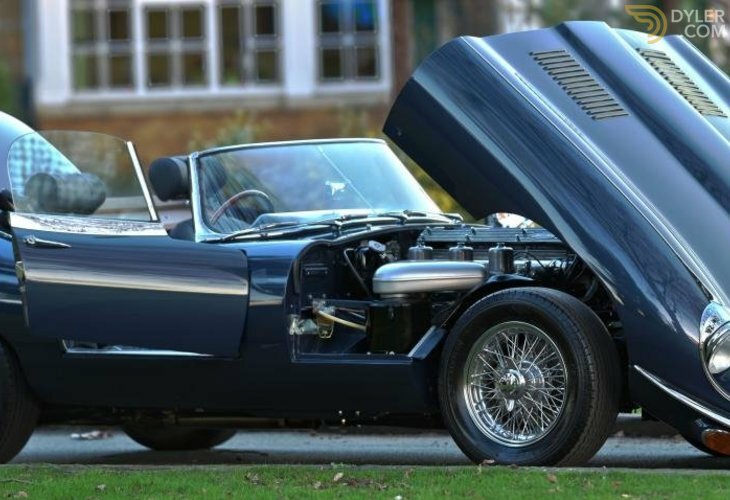 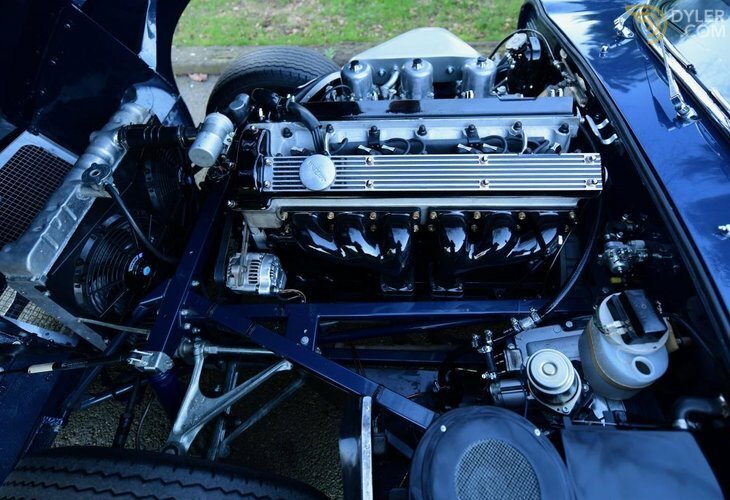 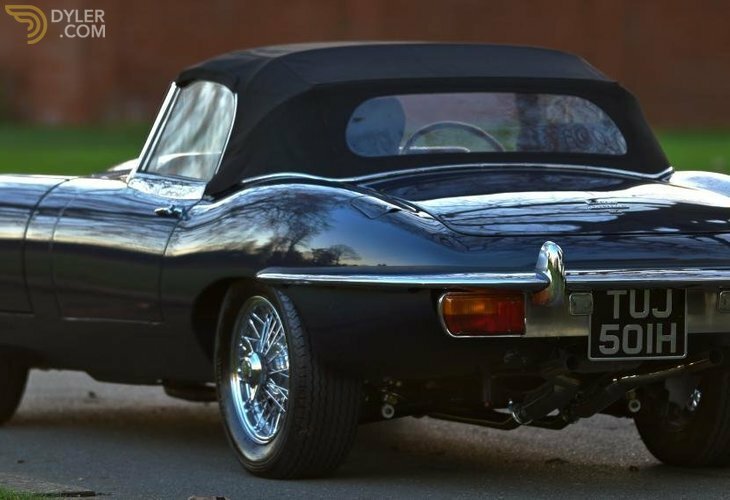 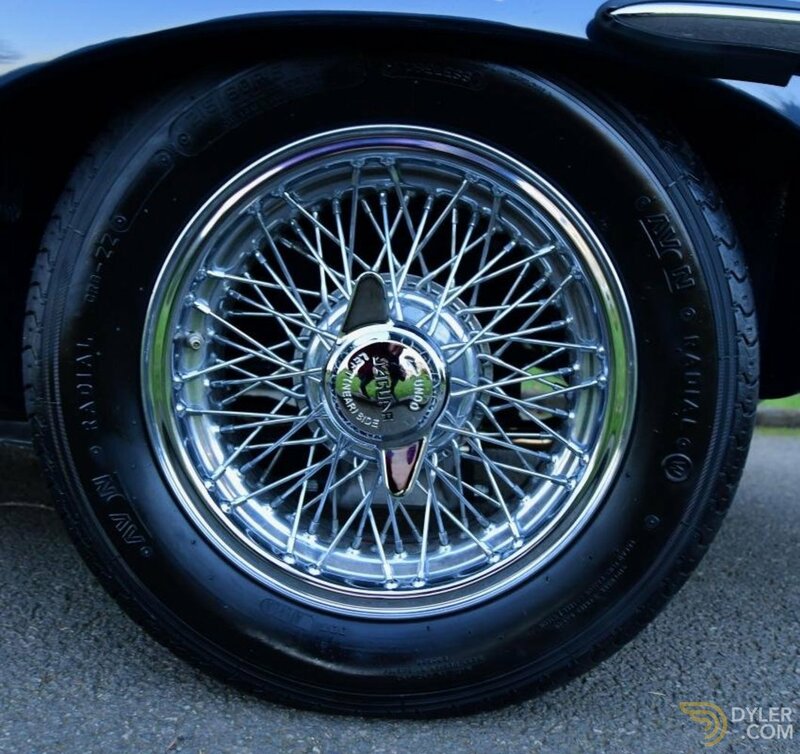 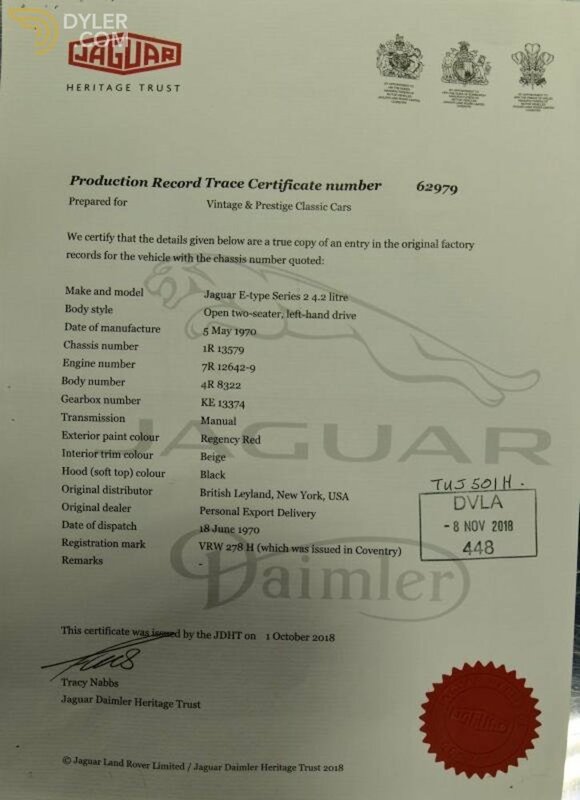 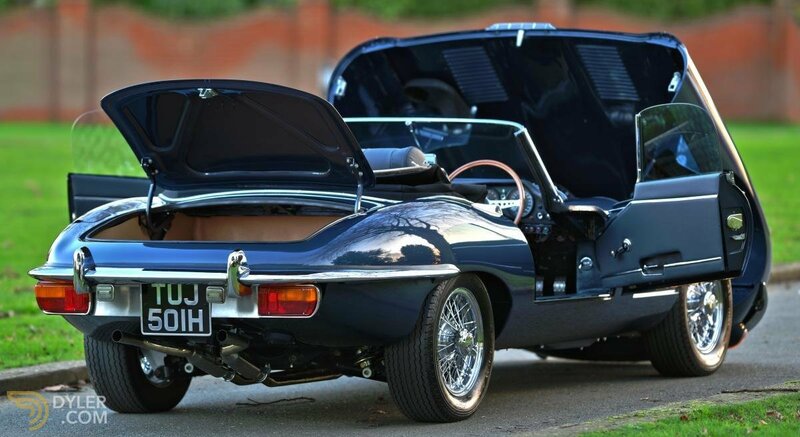 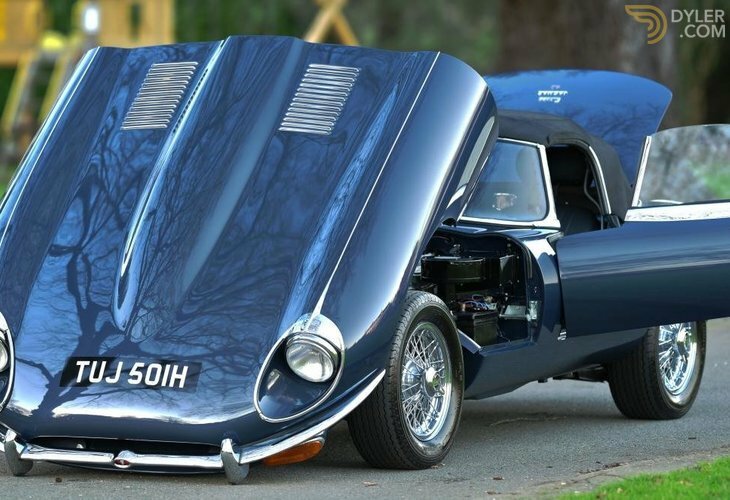 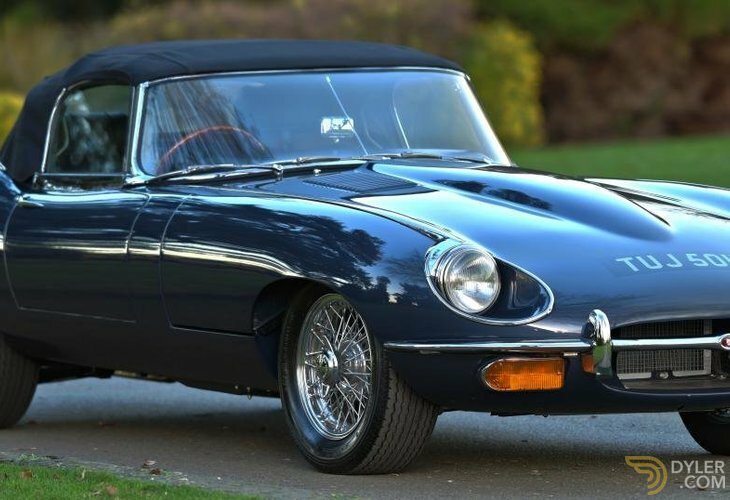 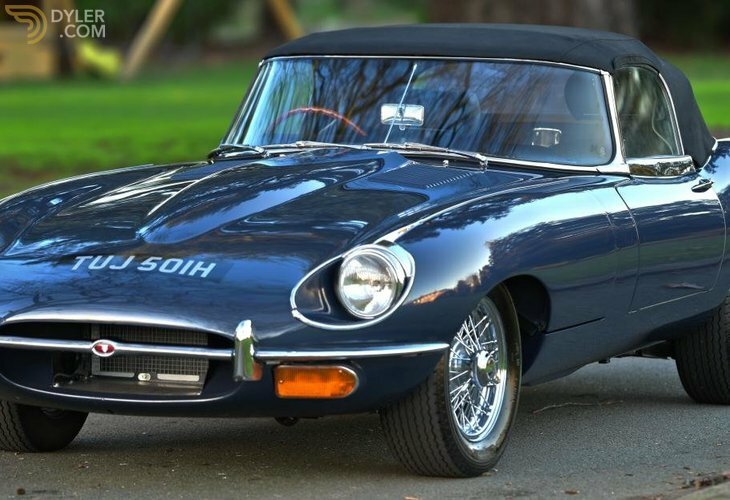 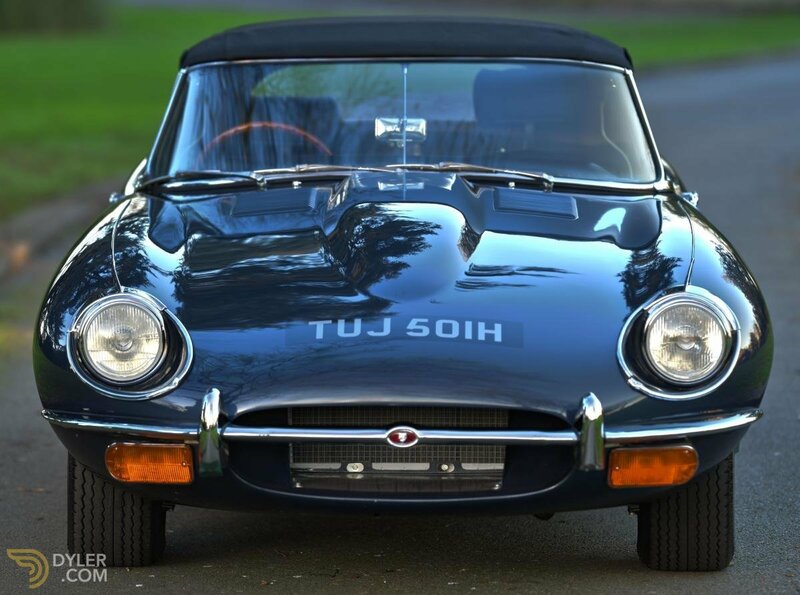 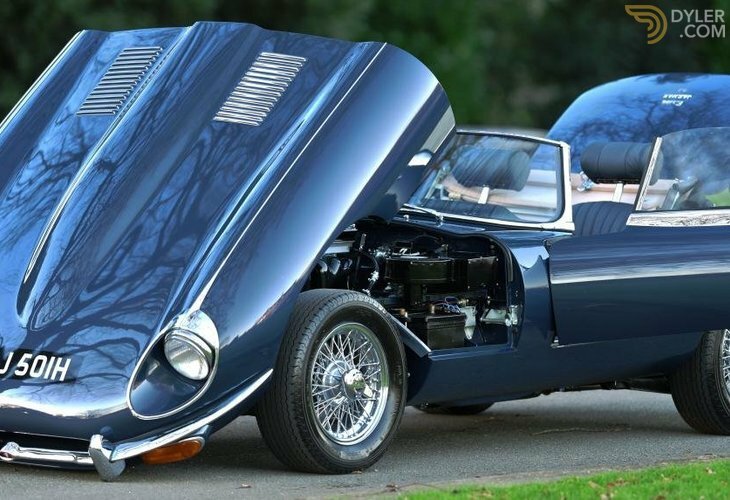 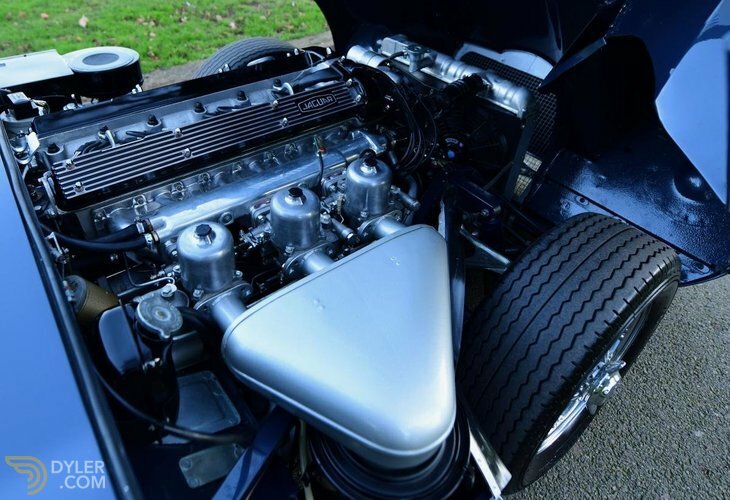 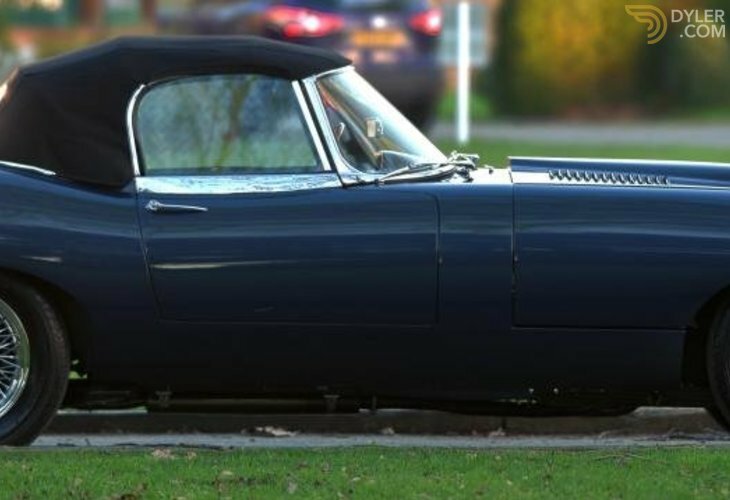 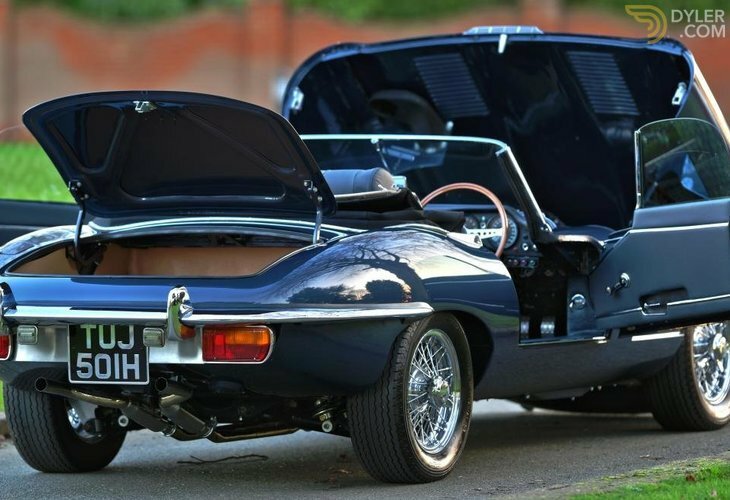 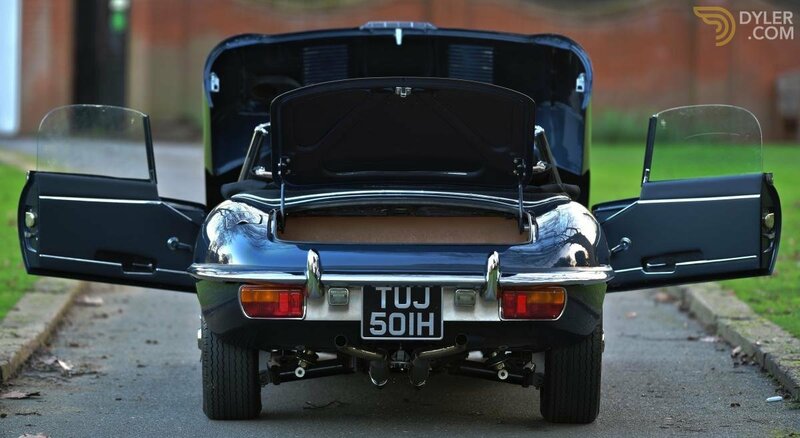 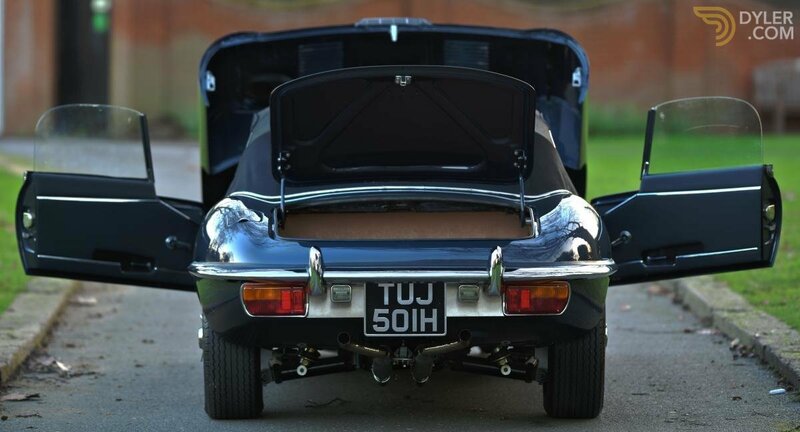 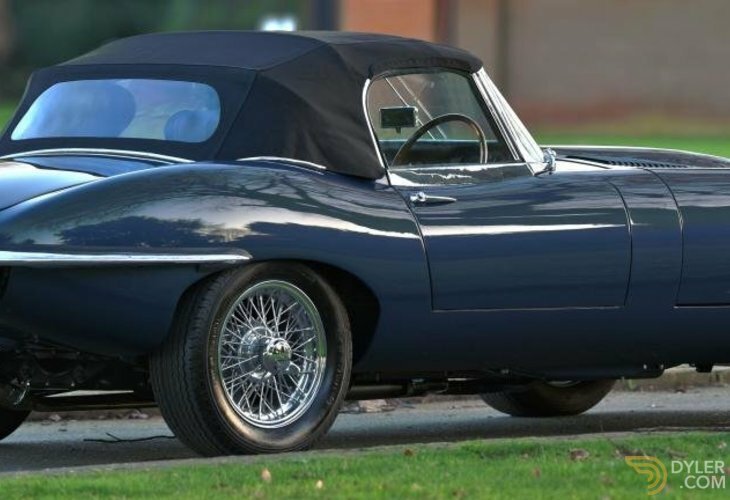 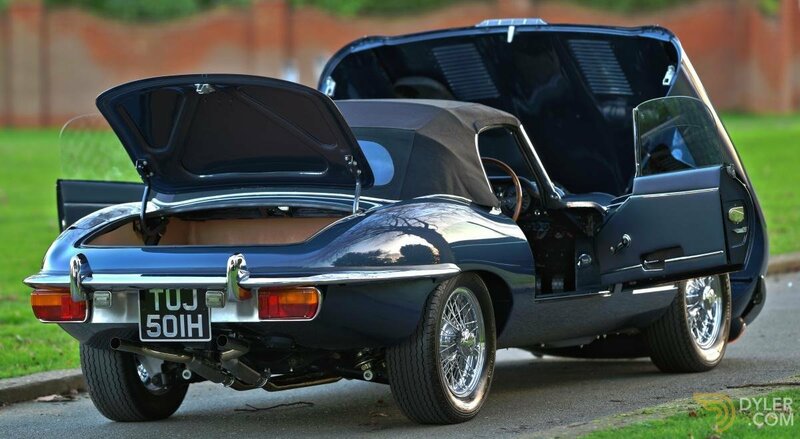 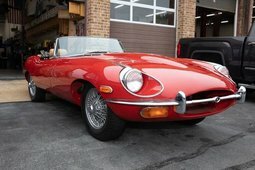 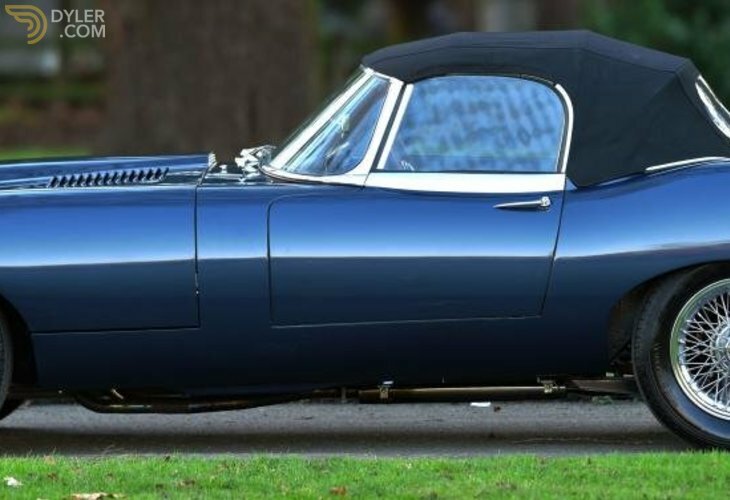 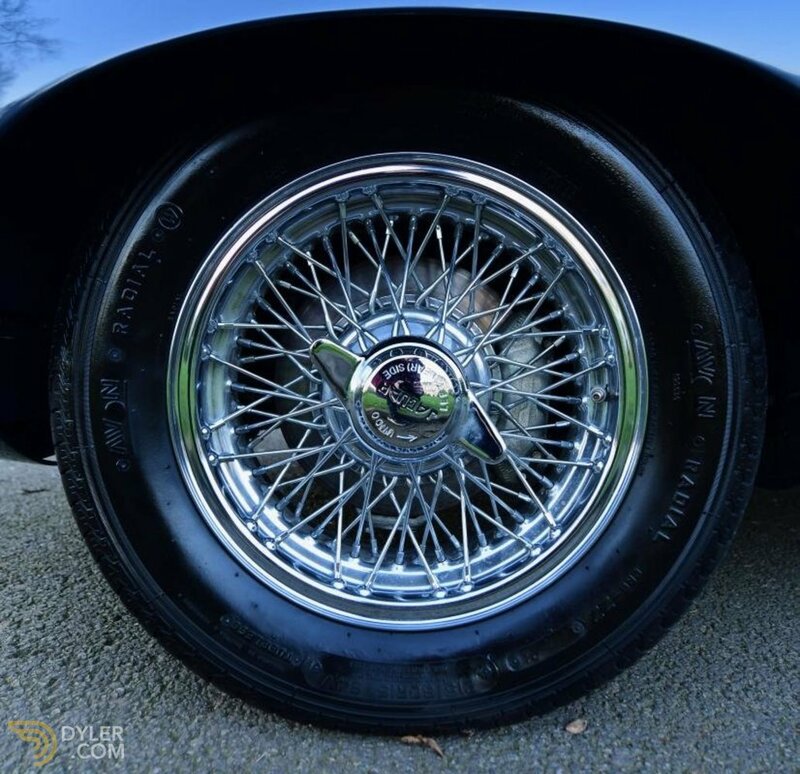 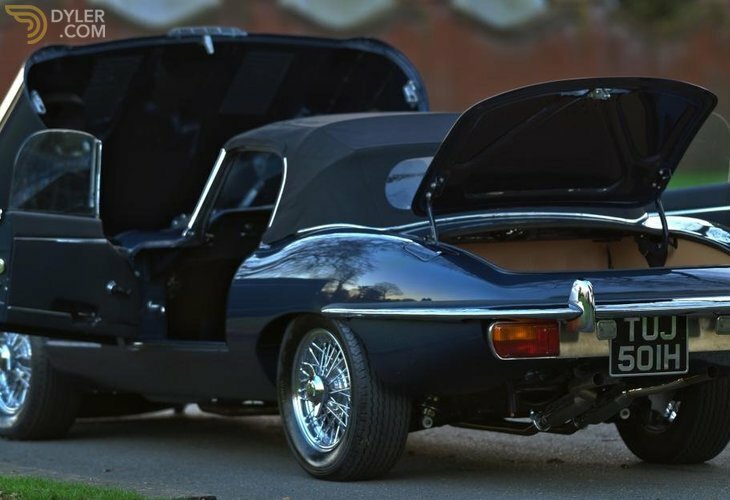 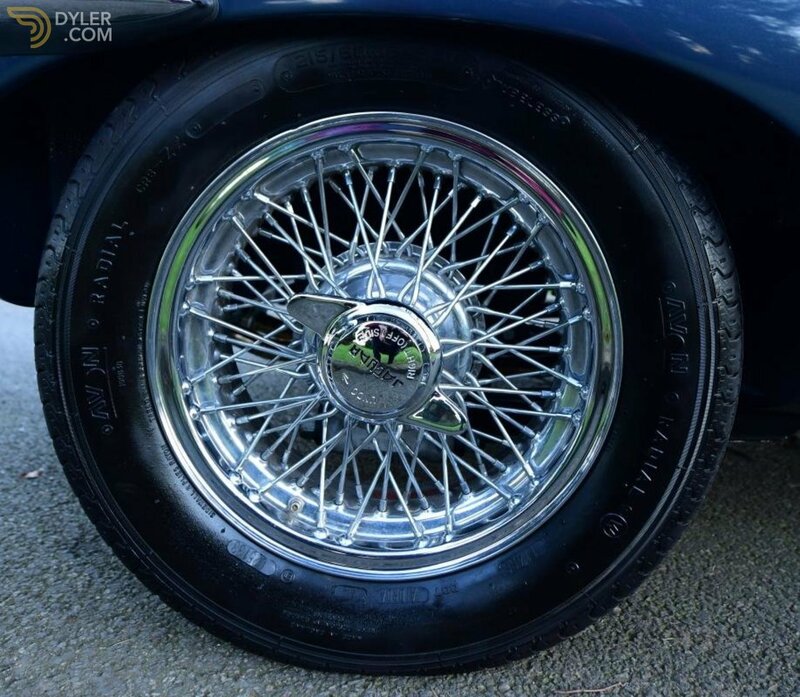 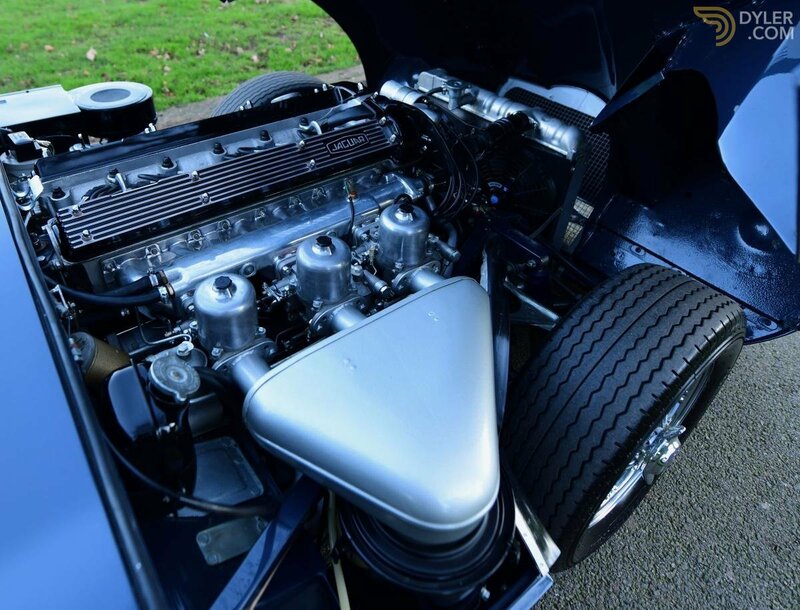 This 1970 Jaguar E Type series 2 has undegone a nut & bolt restoration to fast road specification. 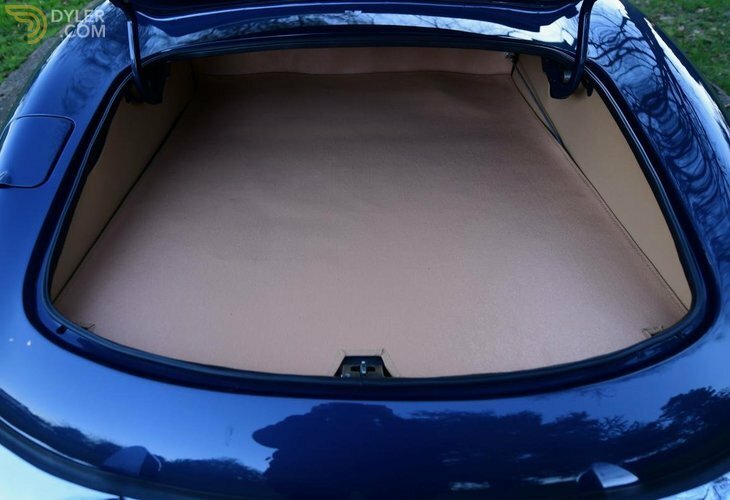 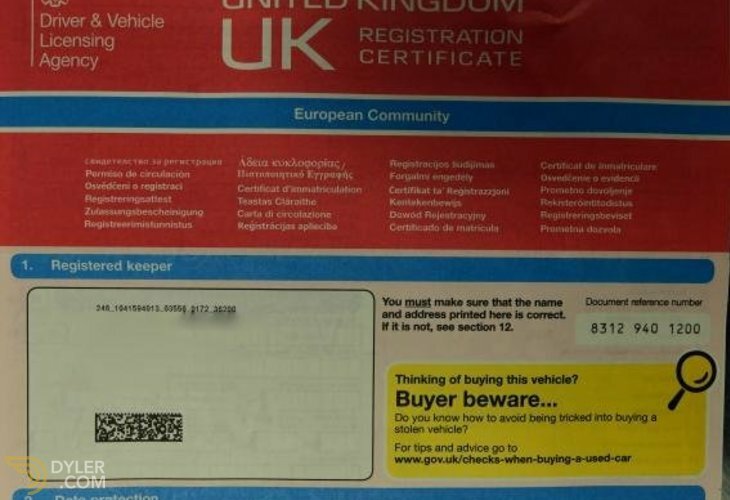 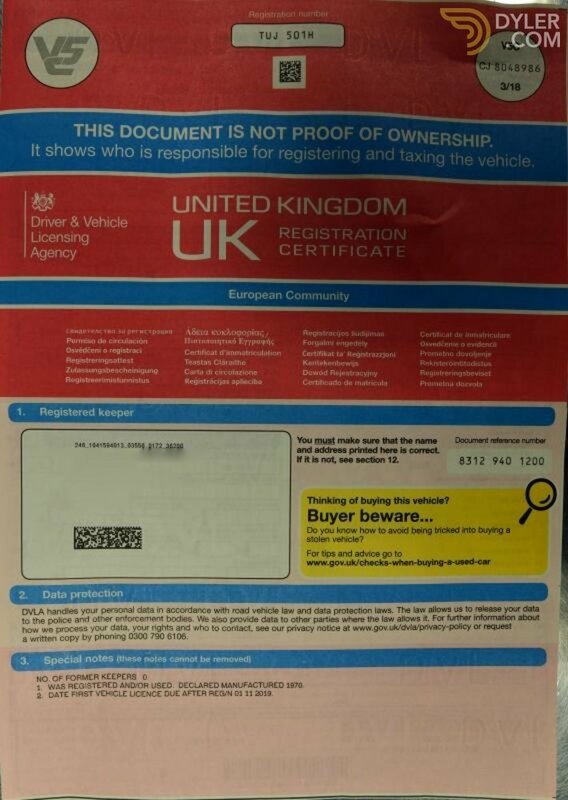 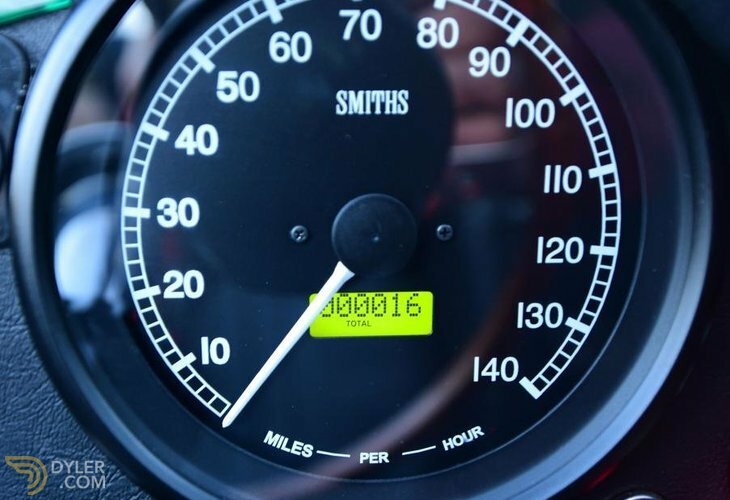 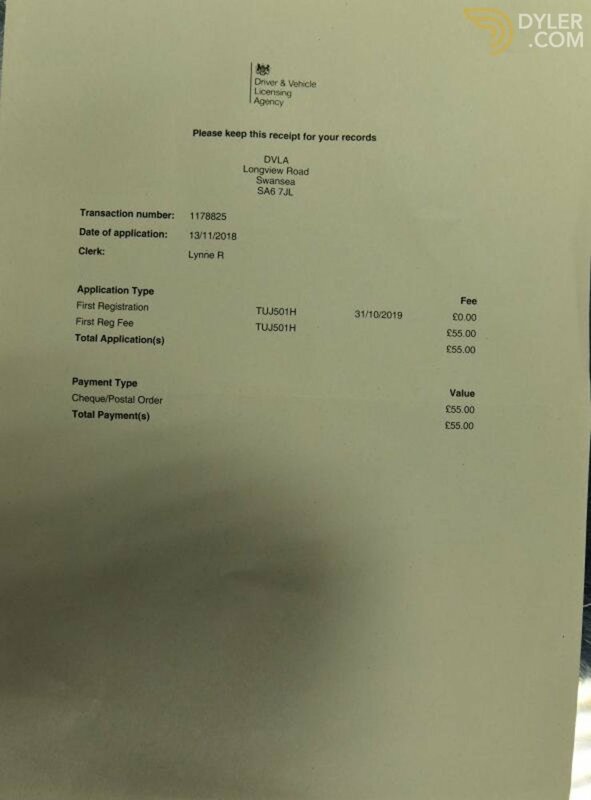 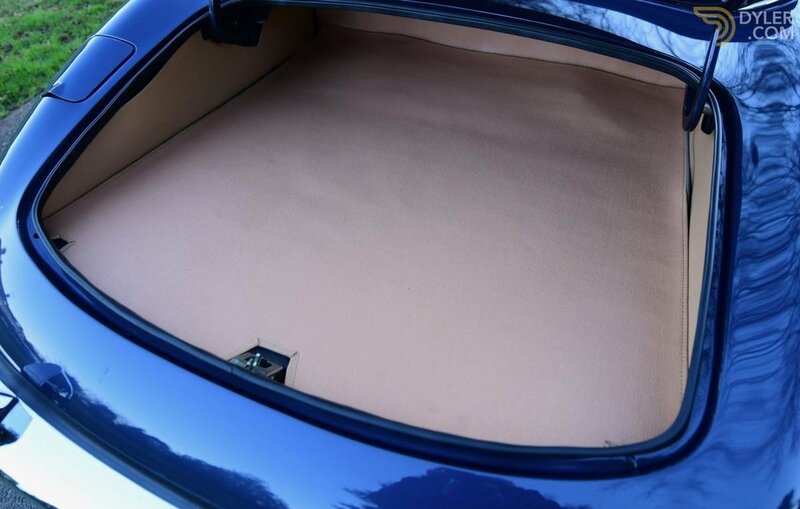 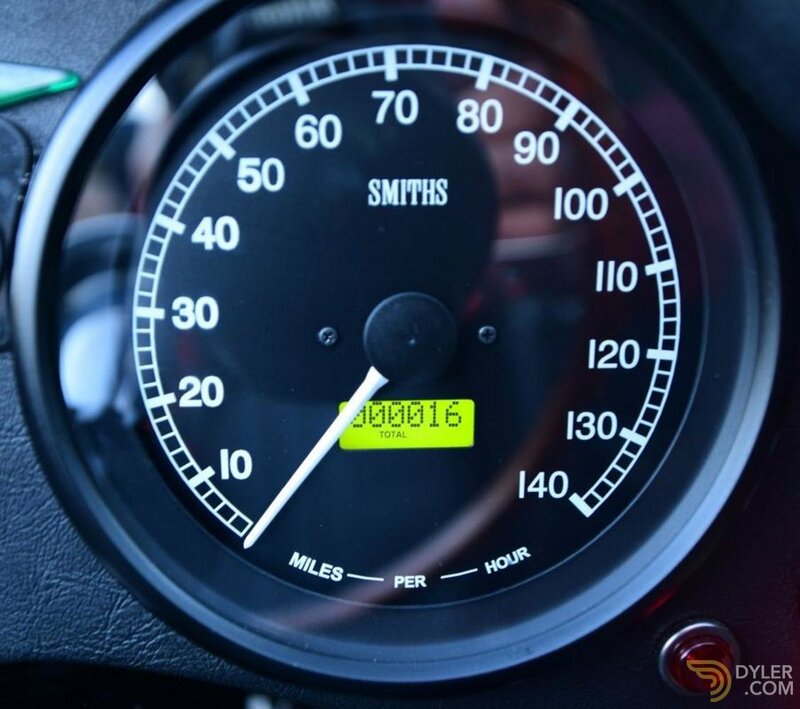 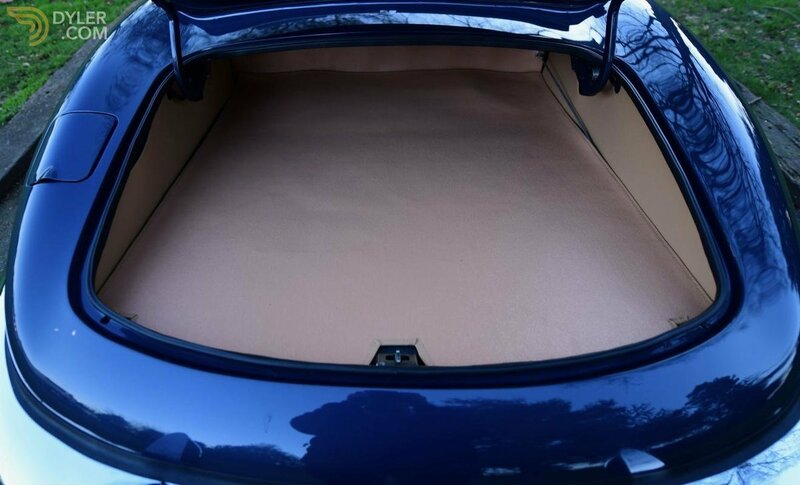 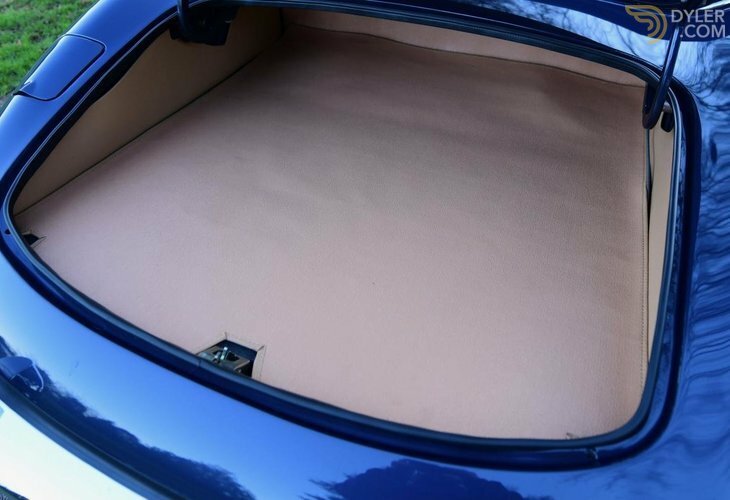 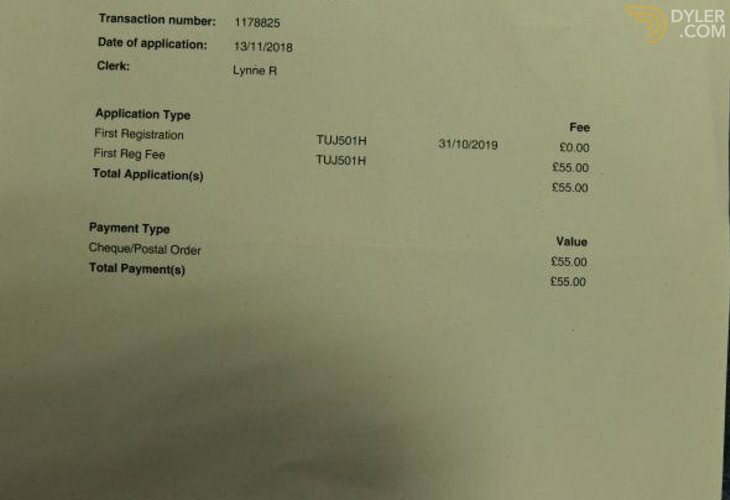 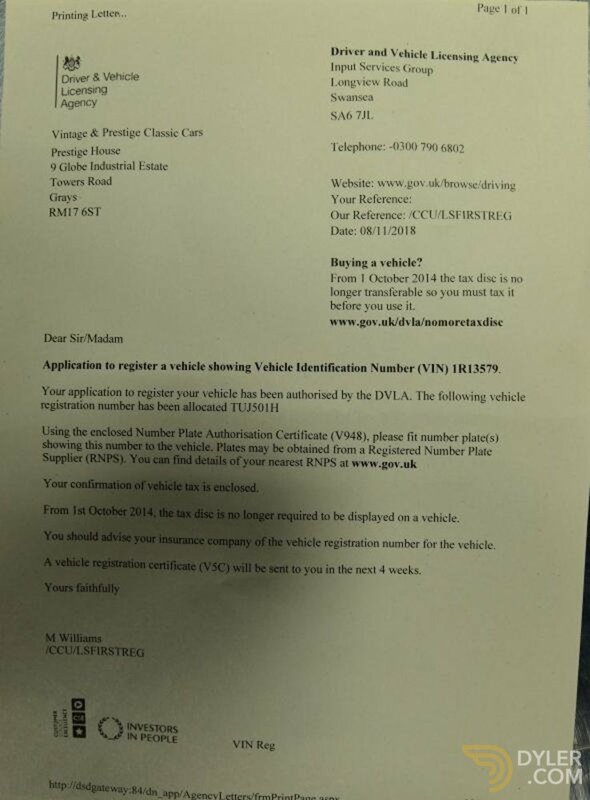 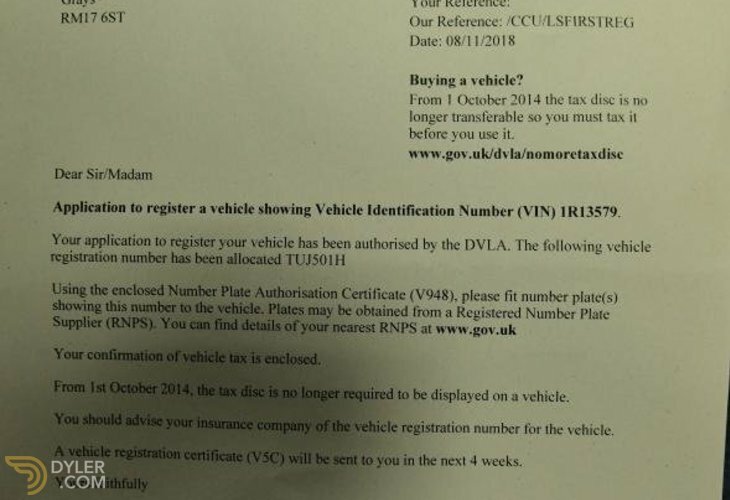 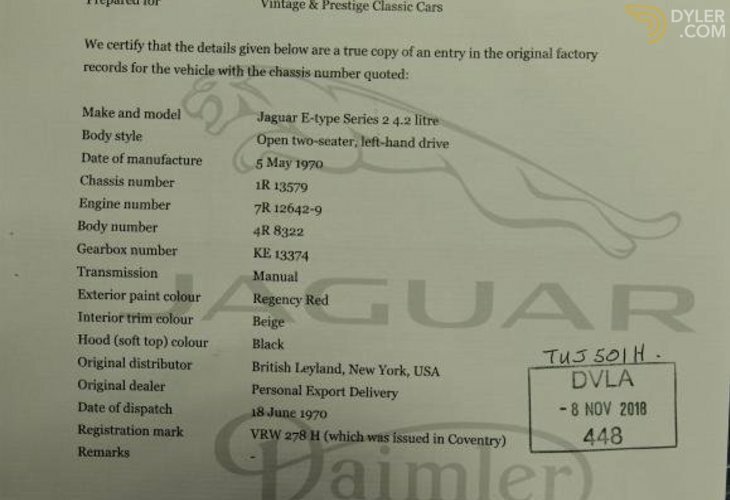 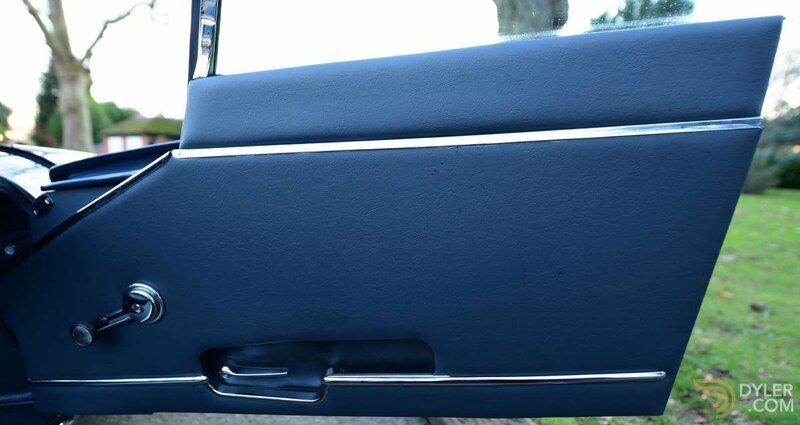 To that end it has had close to £25,000 in additional extra fitted to it. 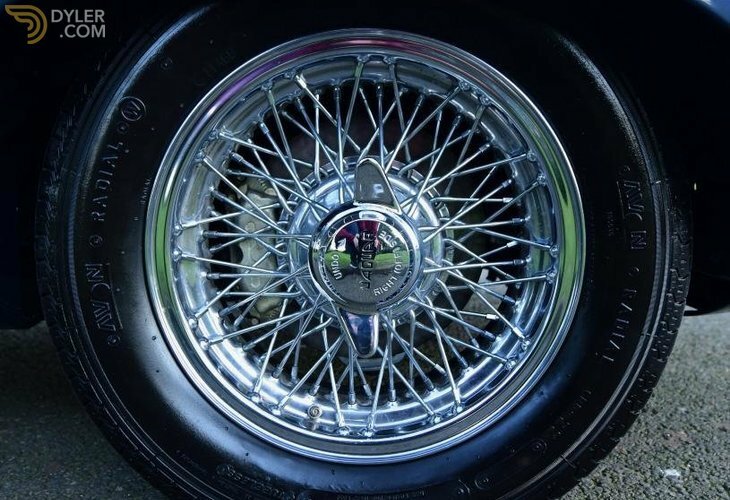 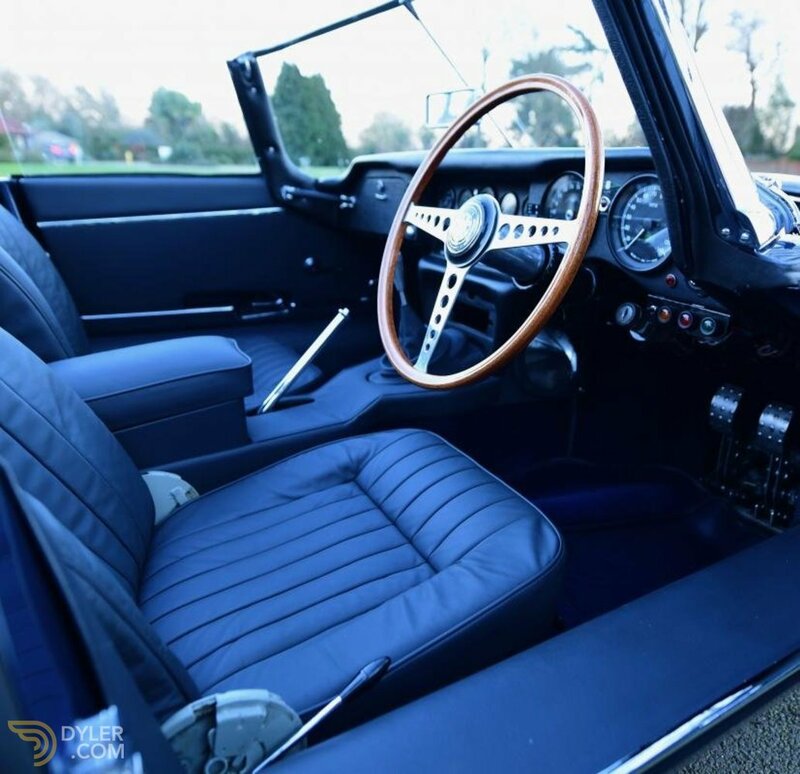 This includes a modern 5 speed gear box, Cooper Craft ventilated Brakes, an aftermarket pedal box for more leg room, upgraded suspension components & a greatly upgraded engine with high life cam's & high compression pistons. 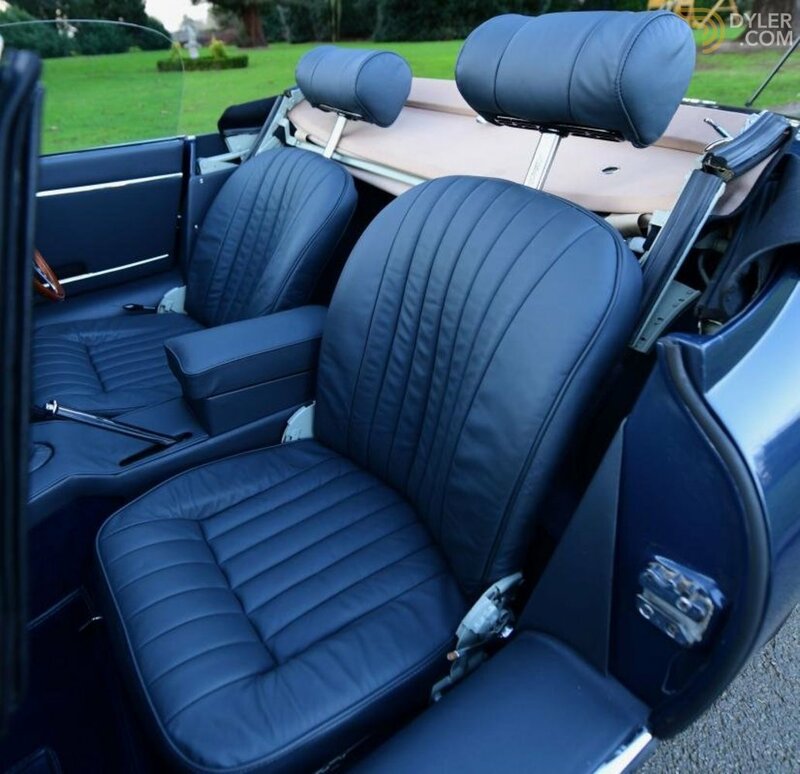 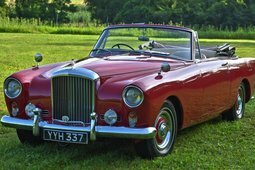 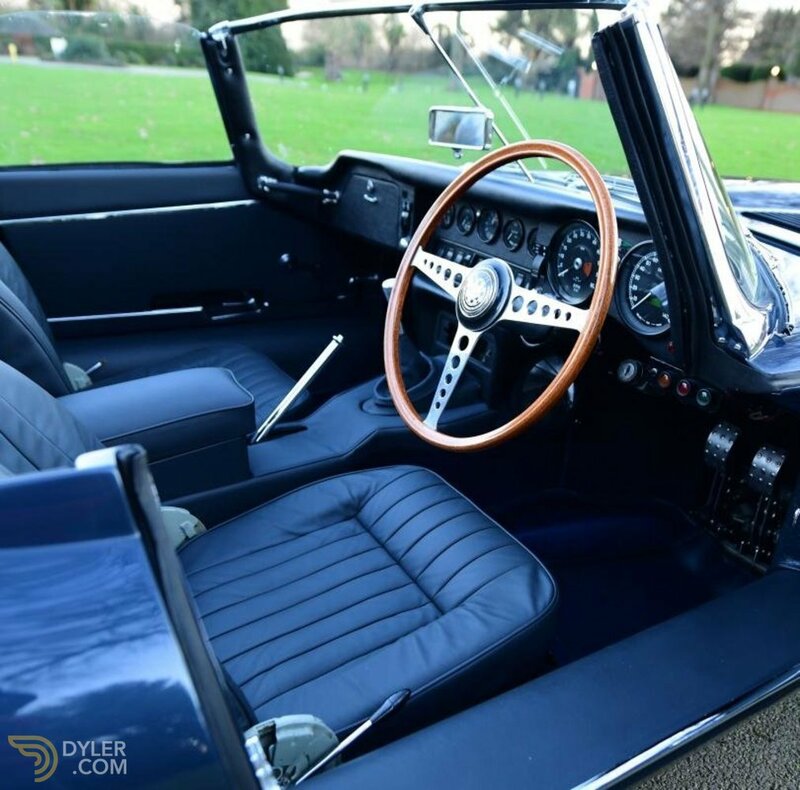 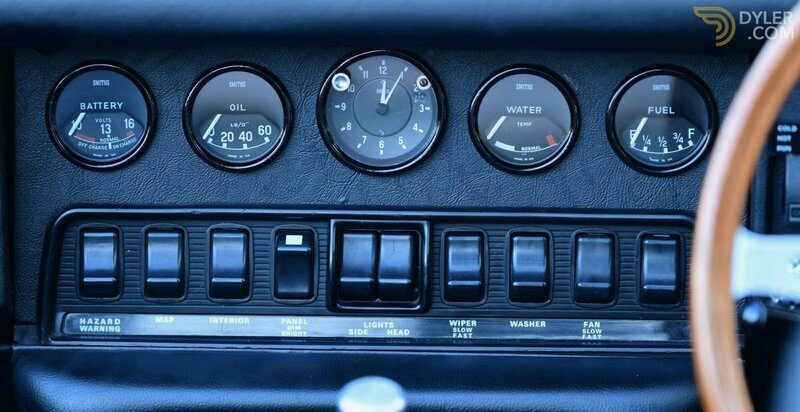 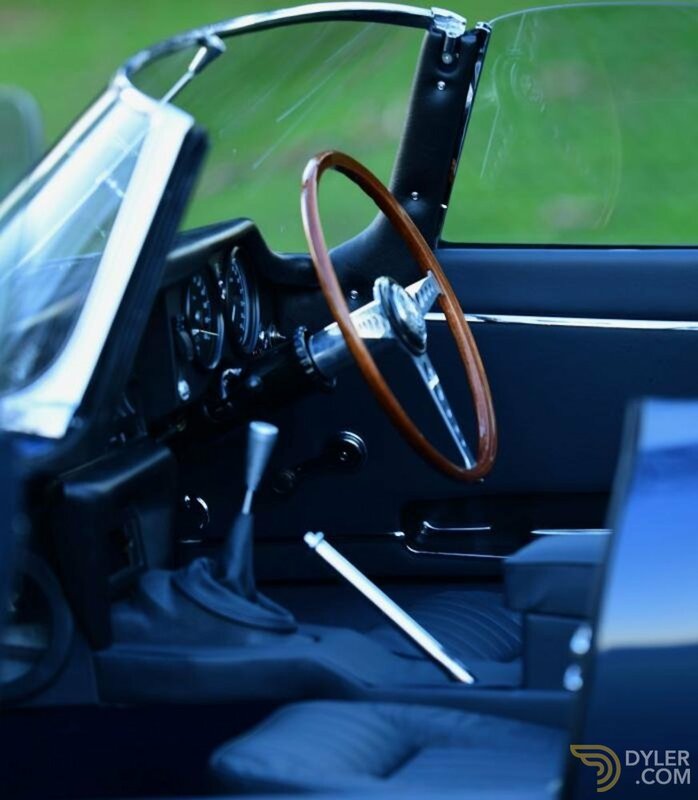 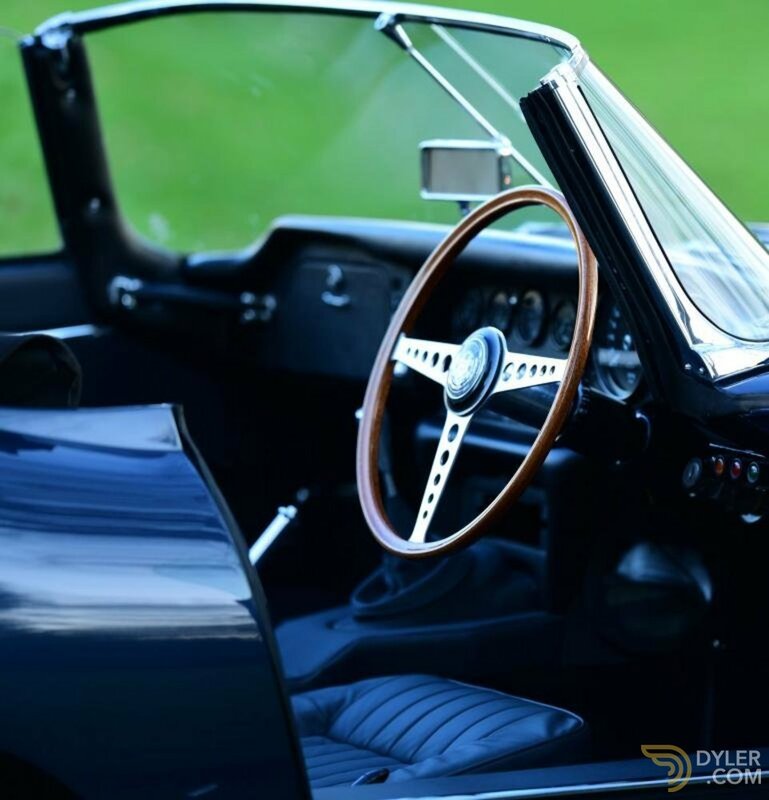 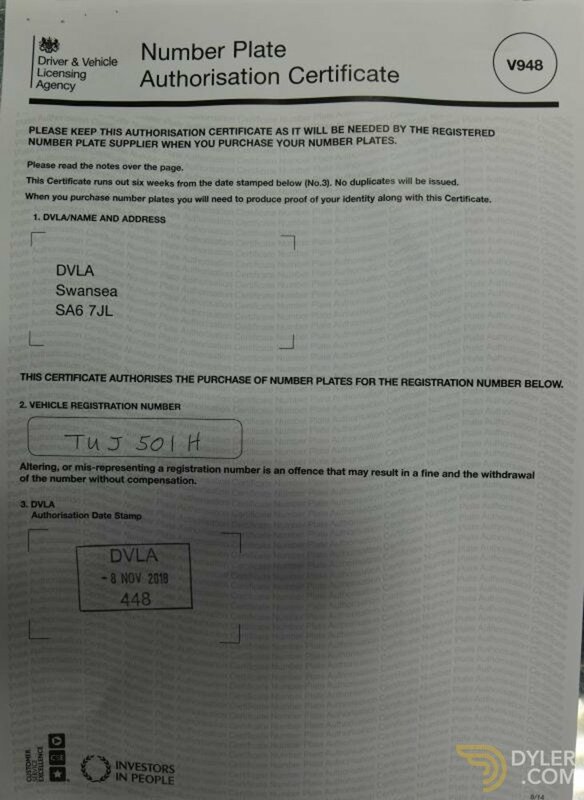 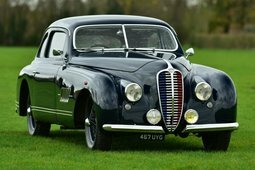 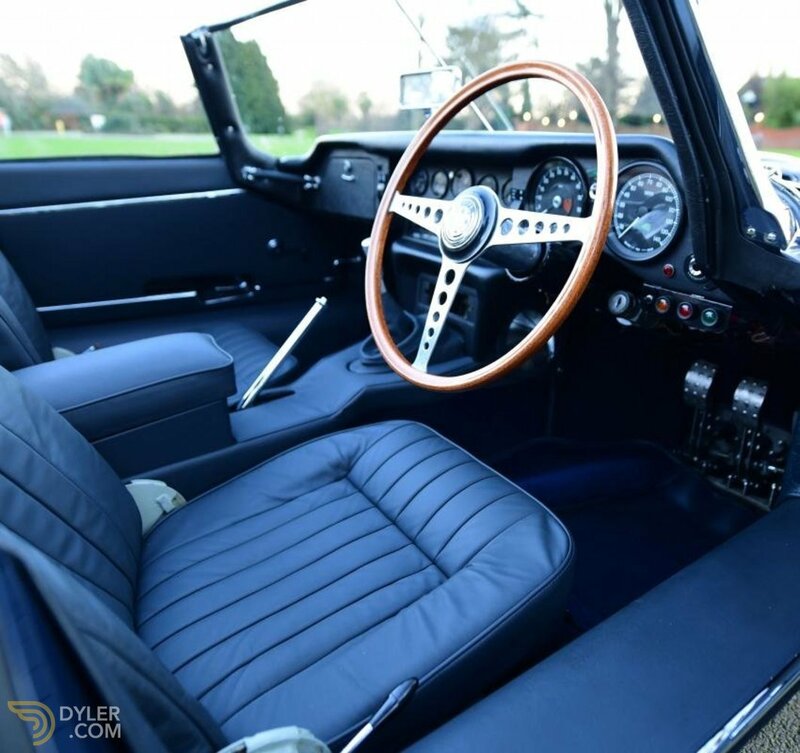 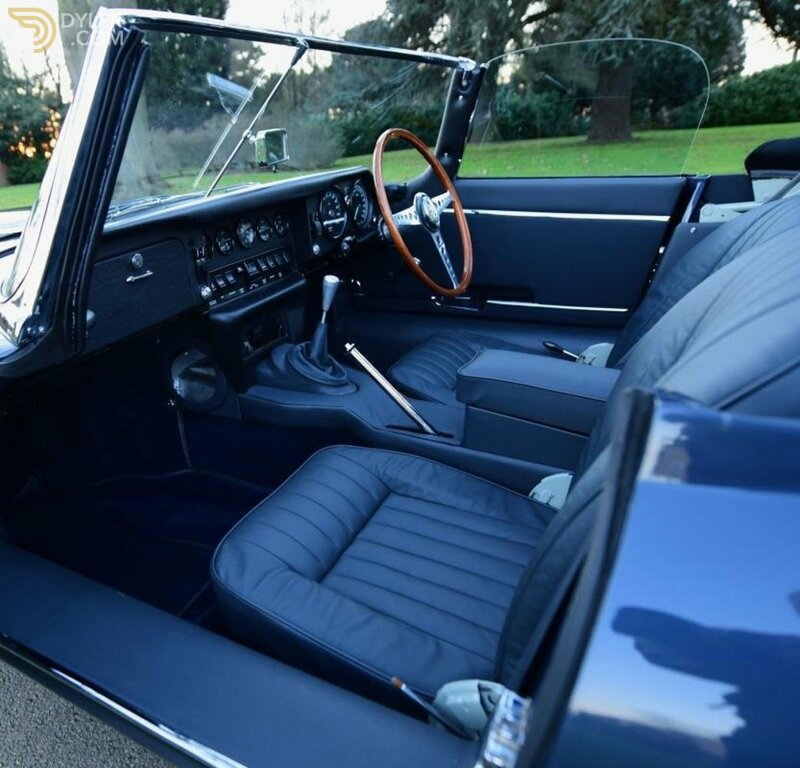 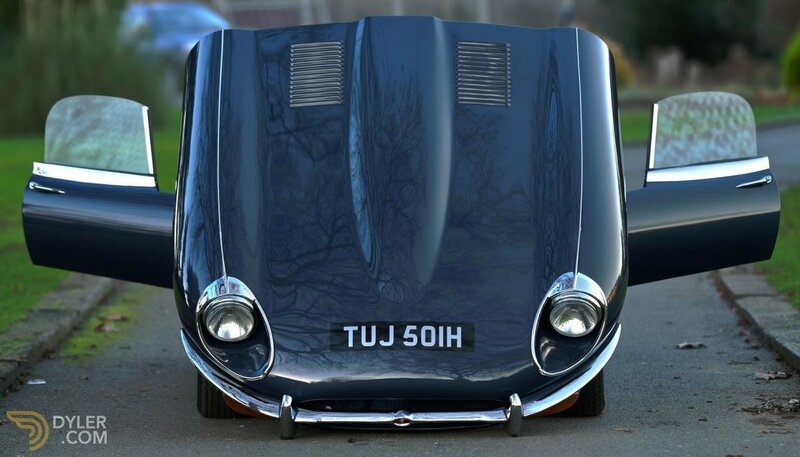 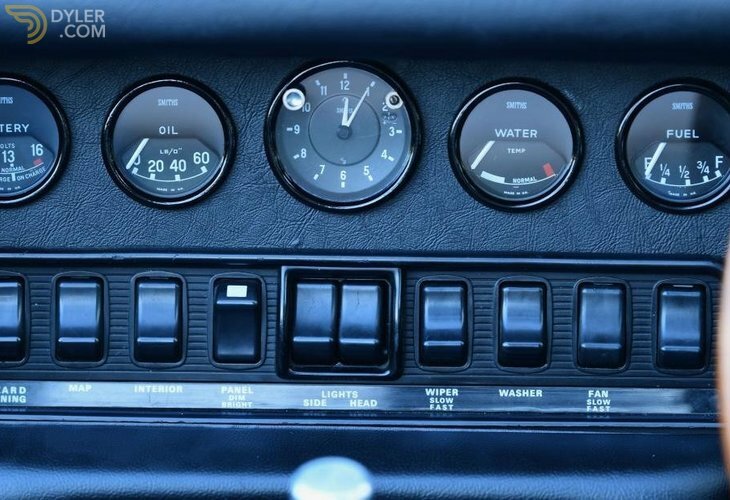 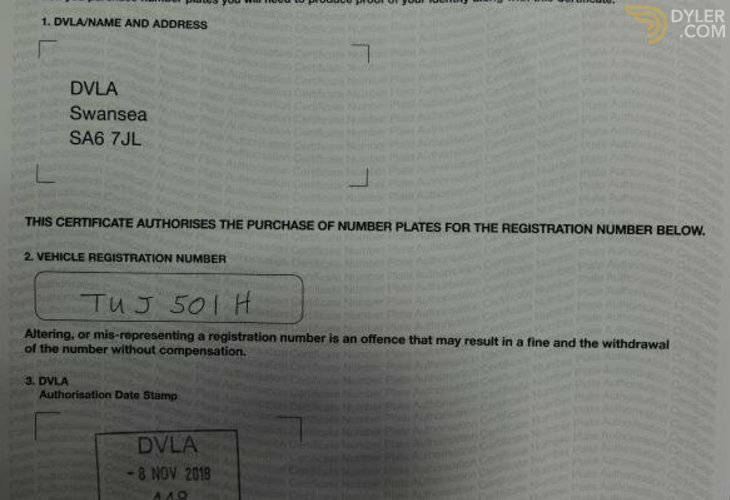 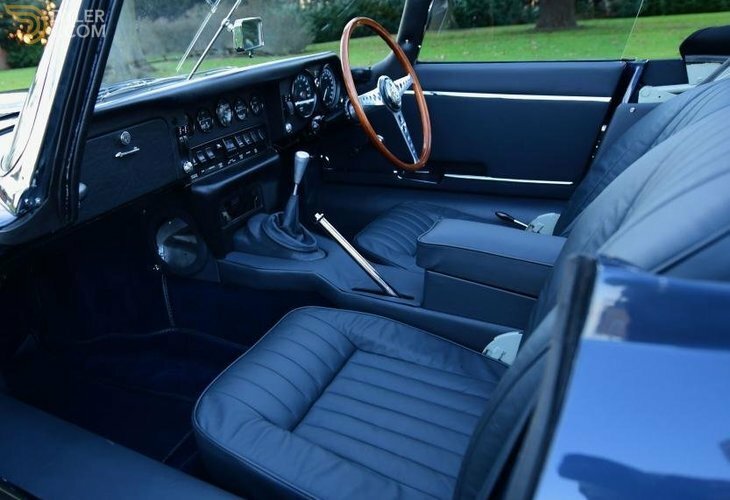 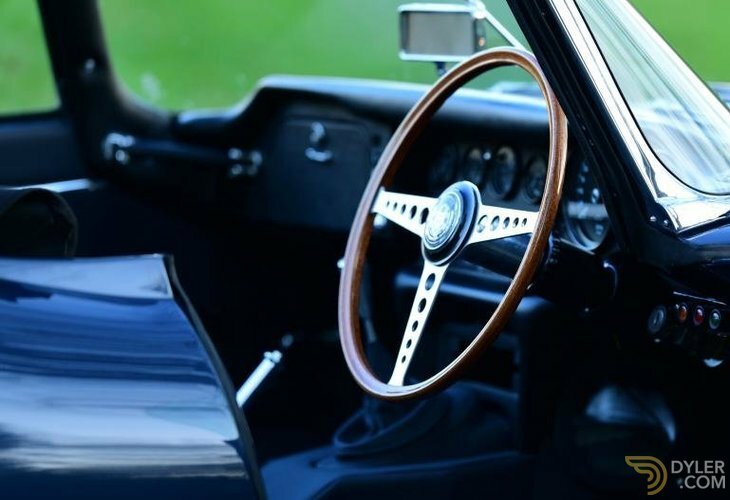 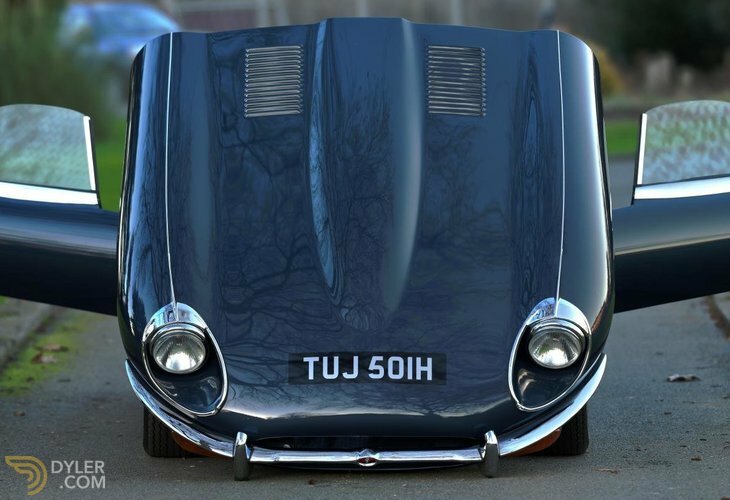 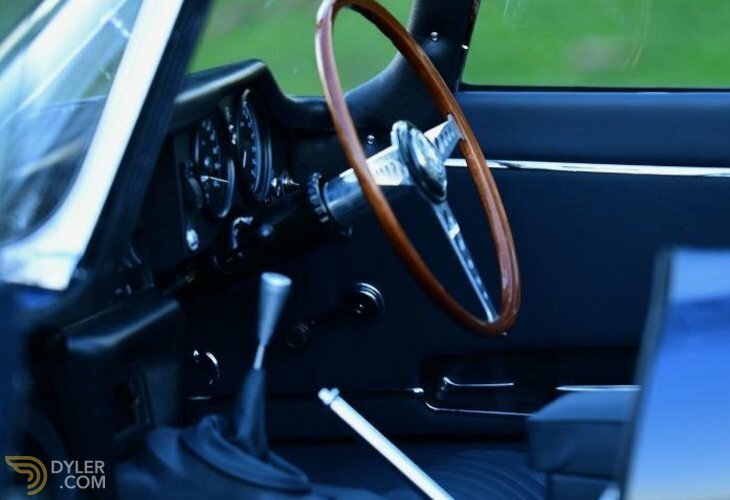 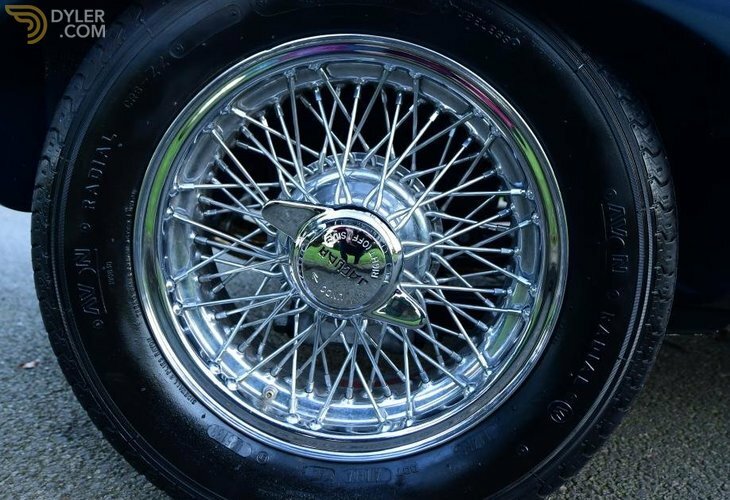 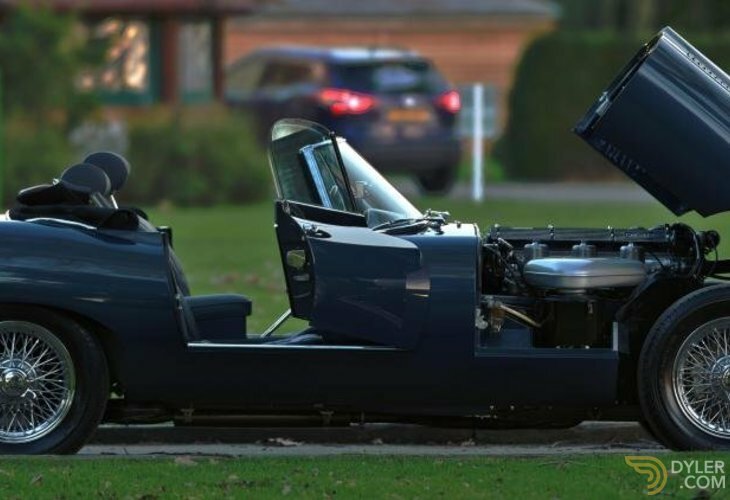 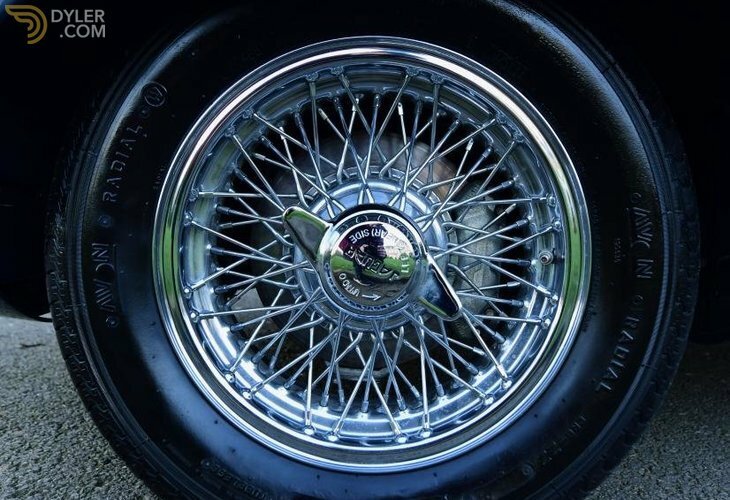 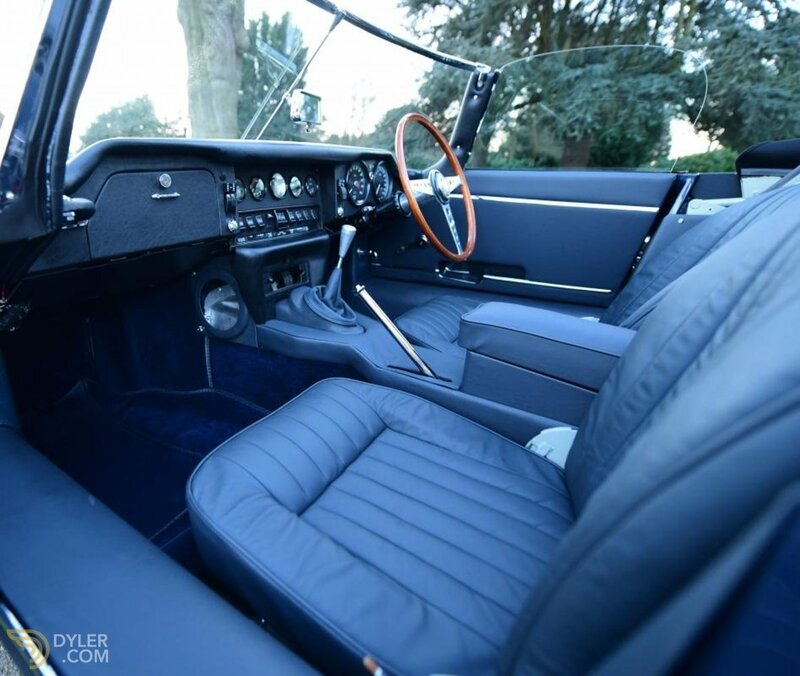 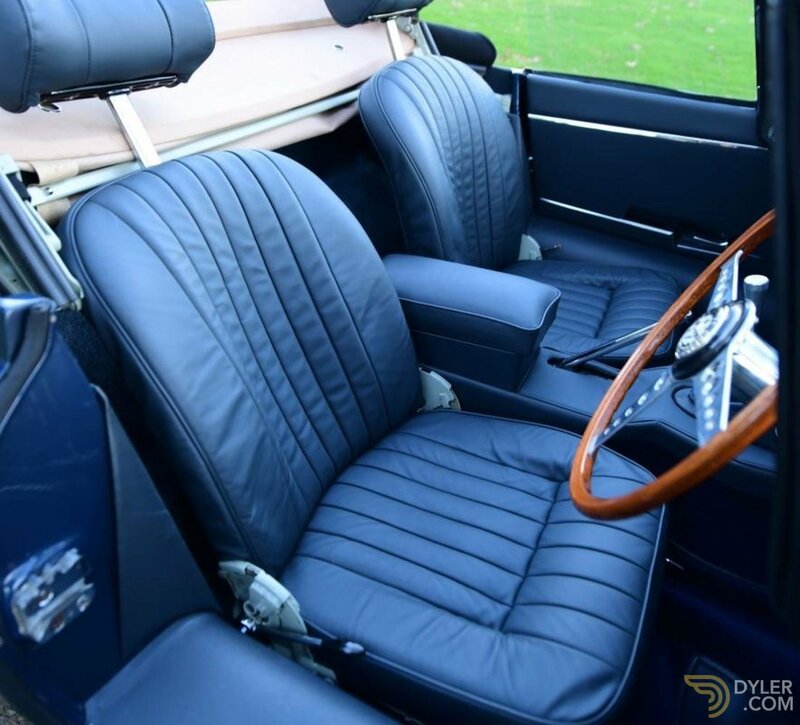 The car started life as a LHD car & has been converted to RHD as part of the restoration. 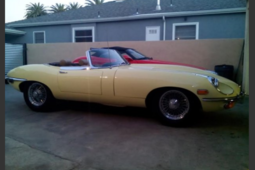 The car has been completely disassembled, all rust treated & new metal let in where necessary. 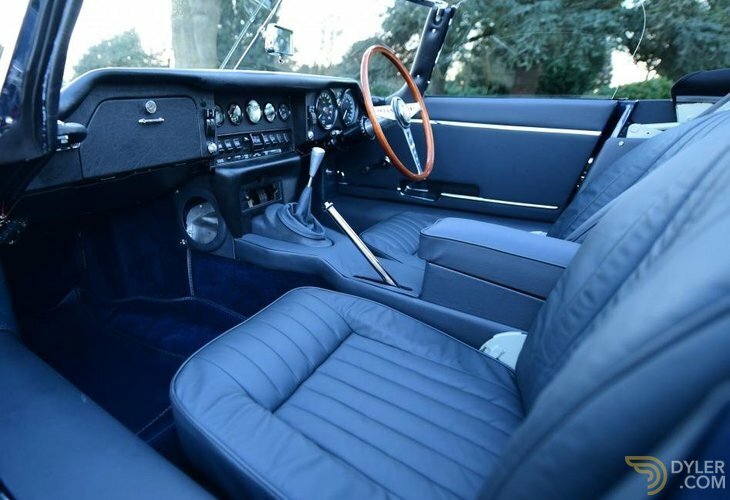 The interior is done in dark blue hide with blue carpets. 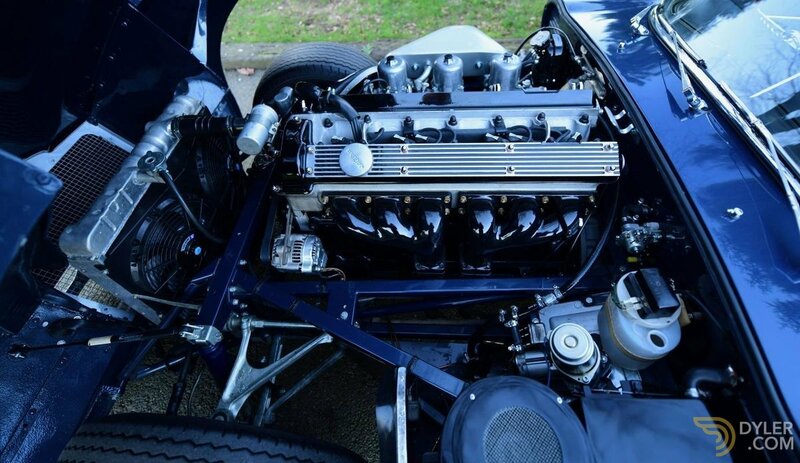 Every nut & bolt has been chznged on the car replacing old with new. 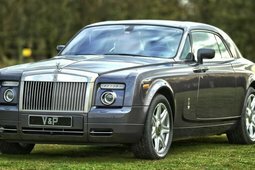 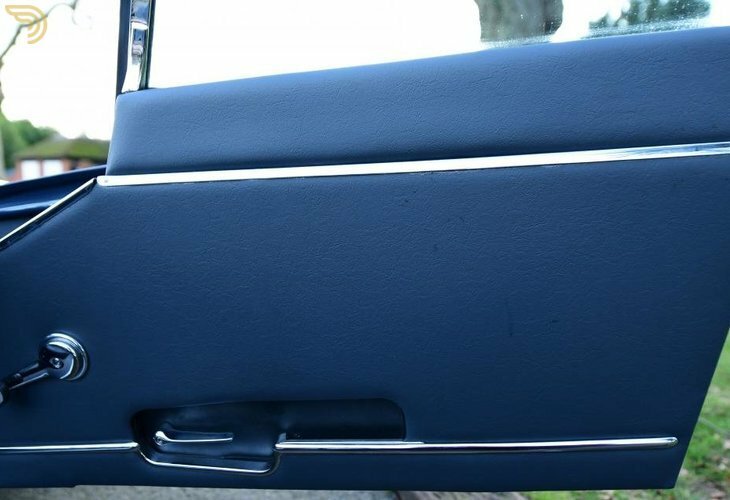 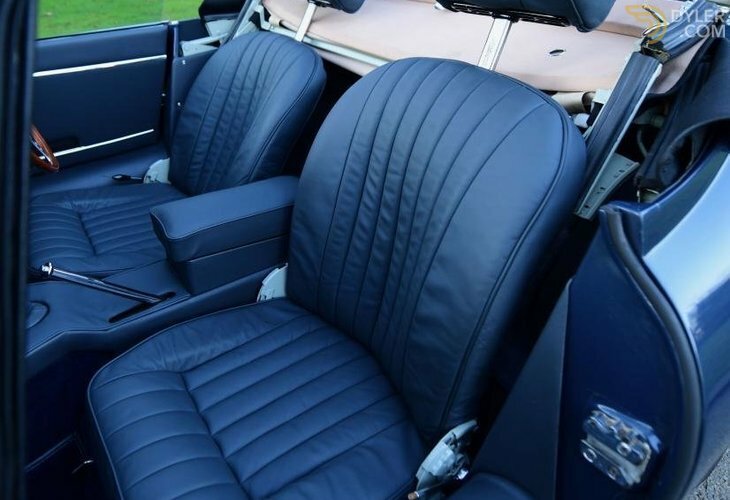 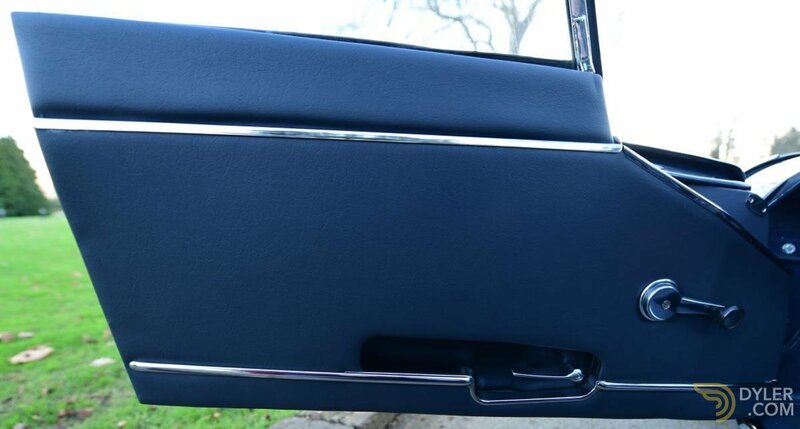 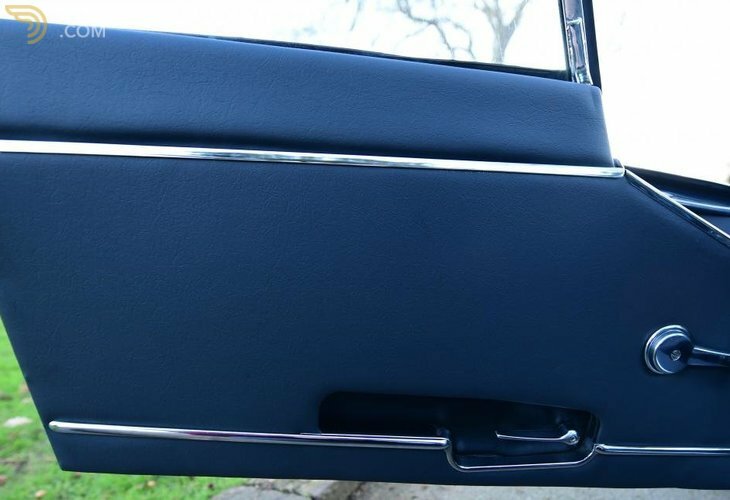 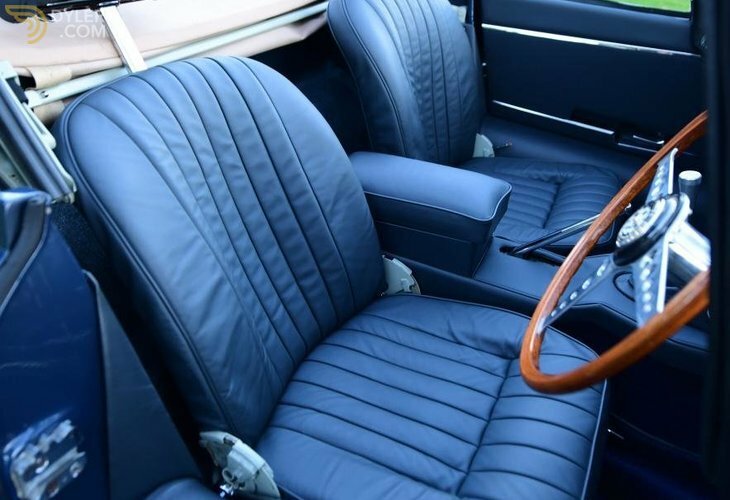 The exterior colour is Opalescent Dark Blue & is needless to say in pristine brand new condition.